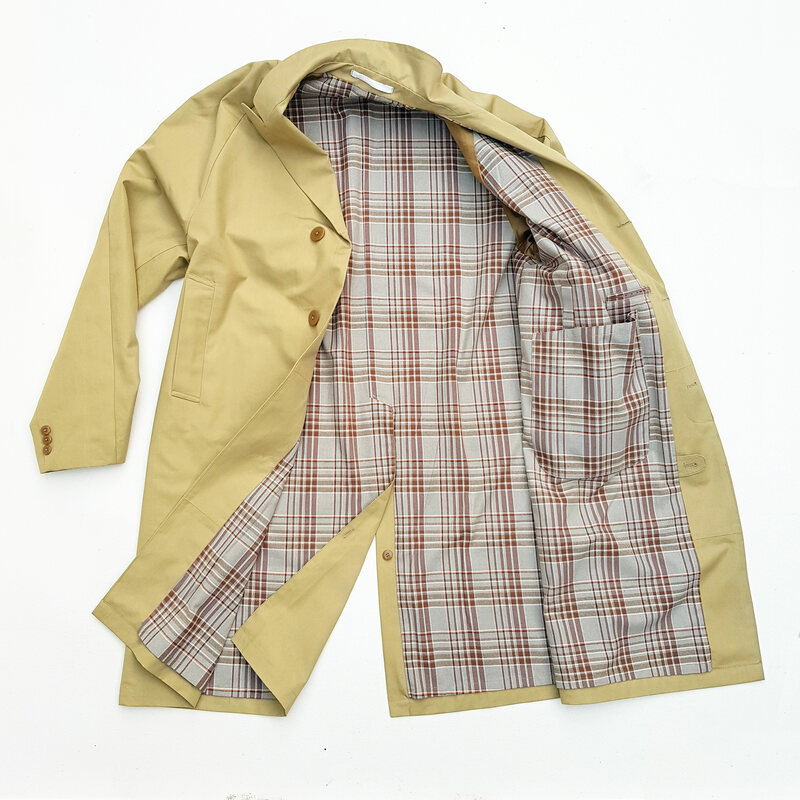 Early British raincoat based on a rare original find. 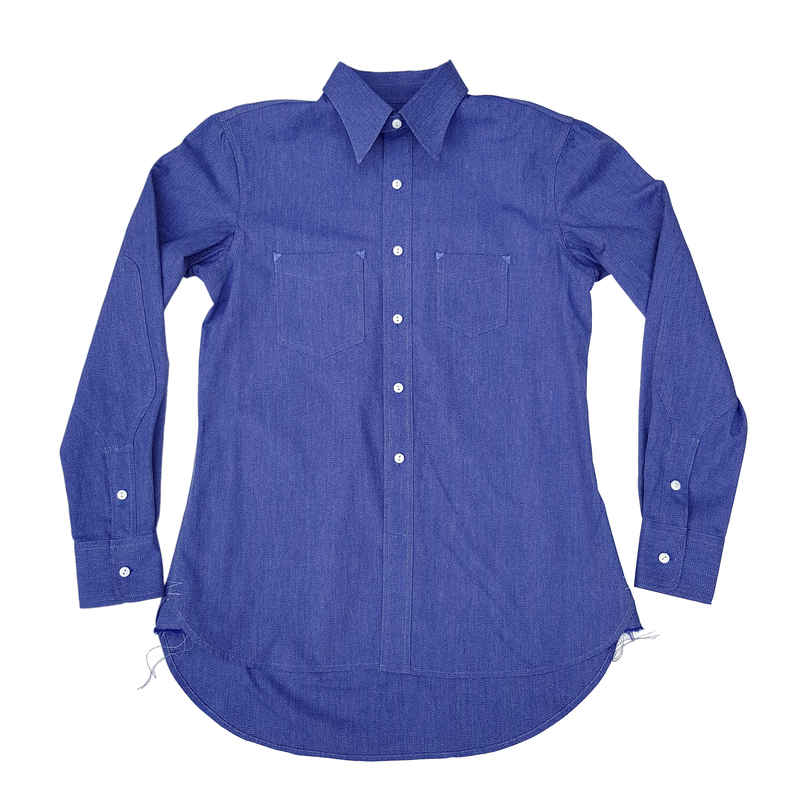 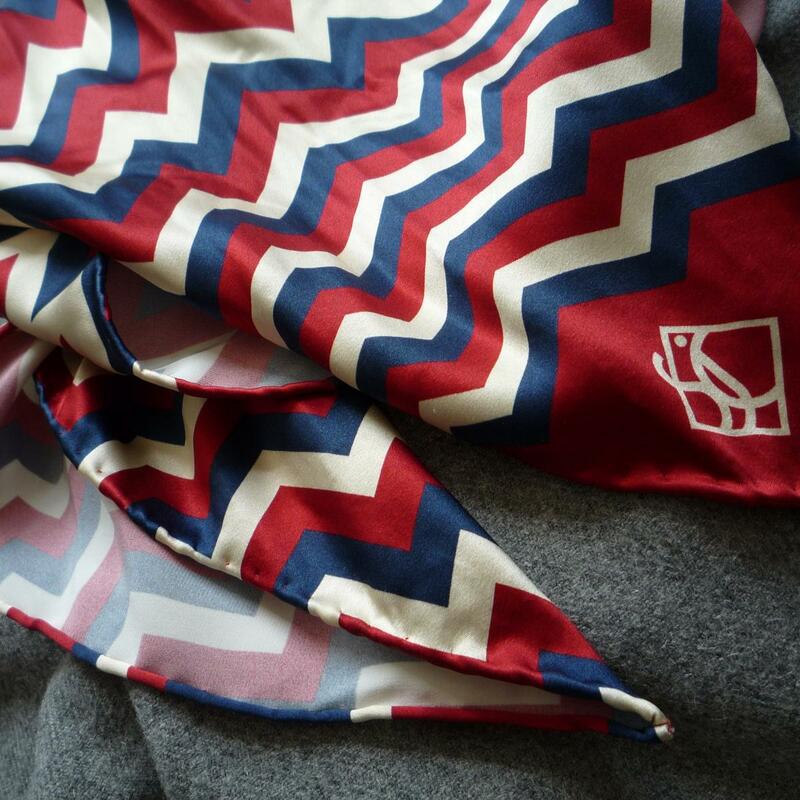 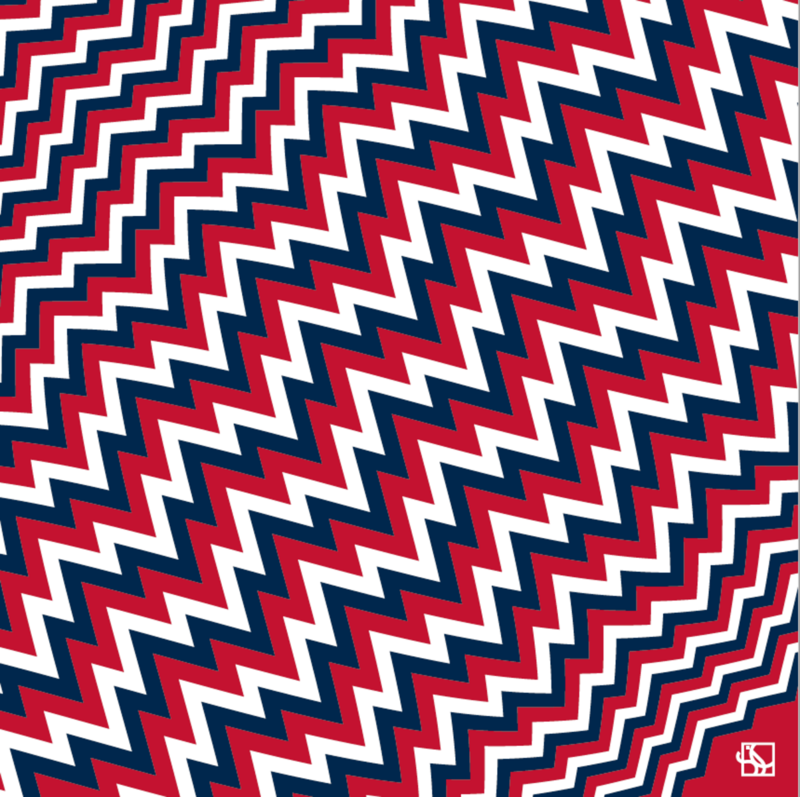 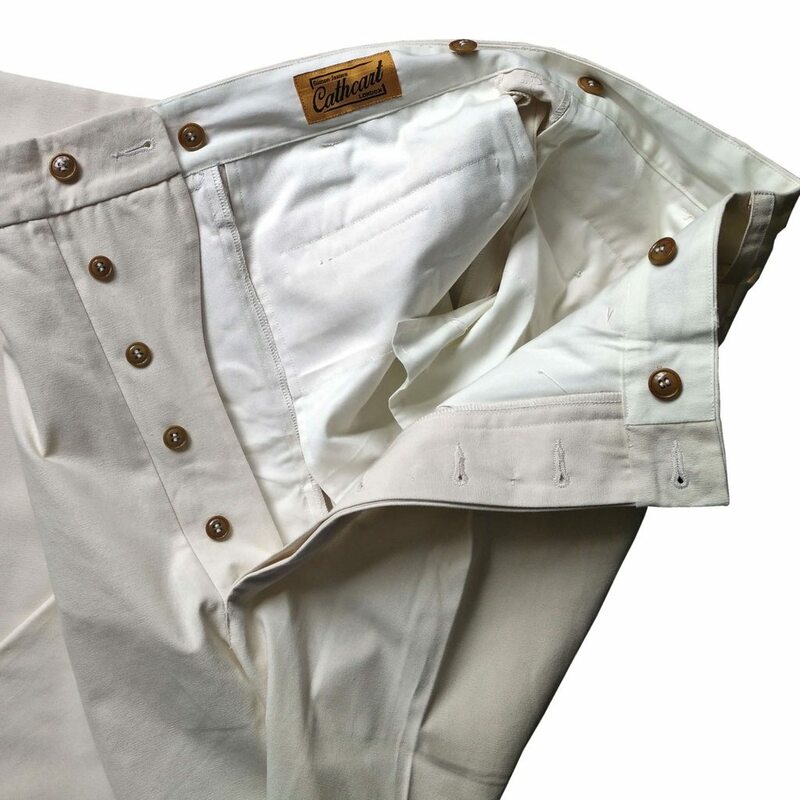 We have rewoven the complex, water-resistant cloth. 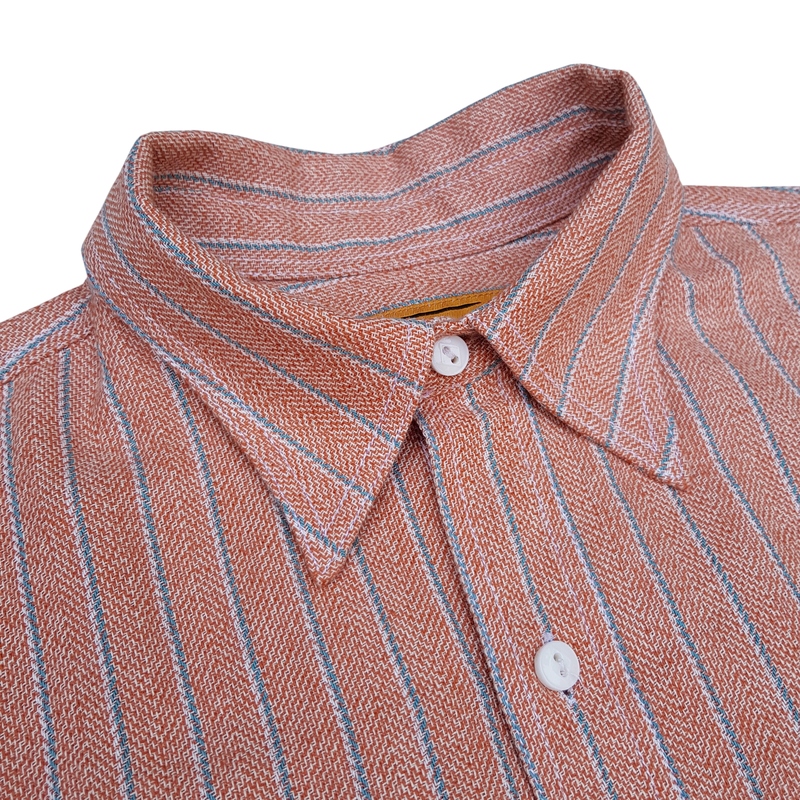 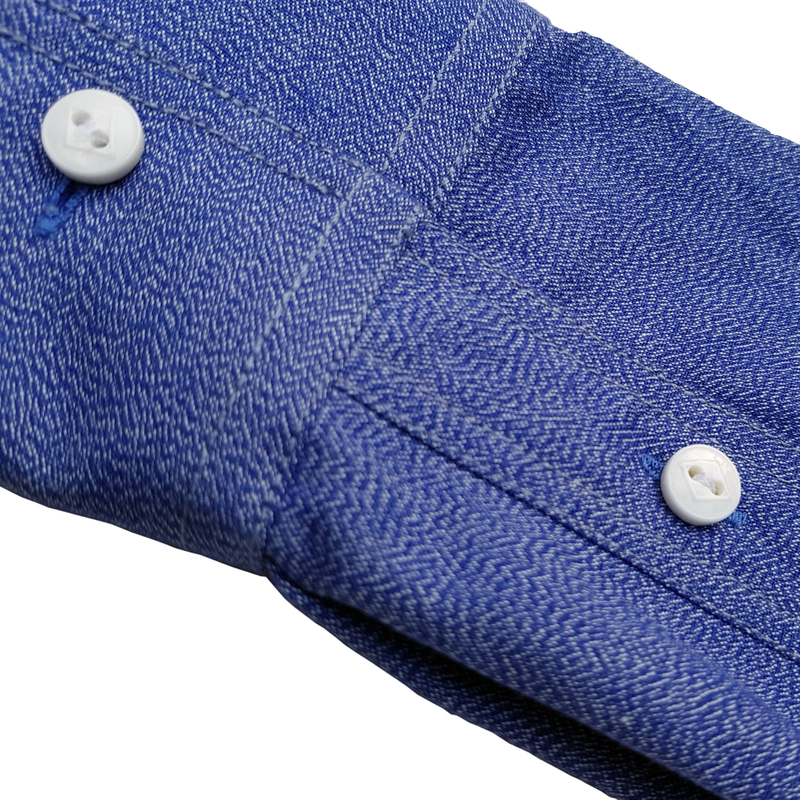 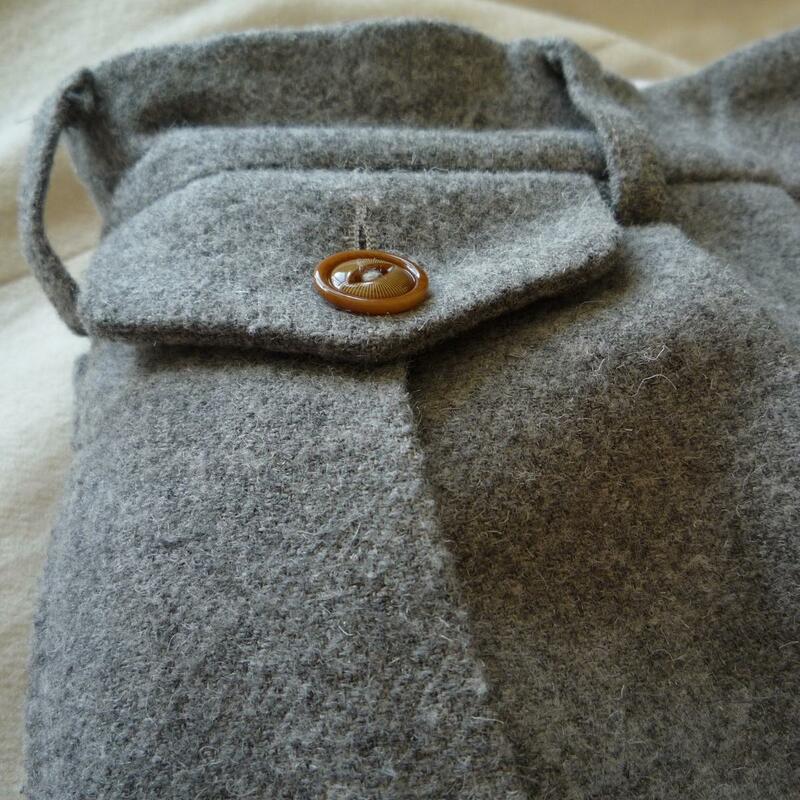 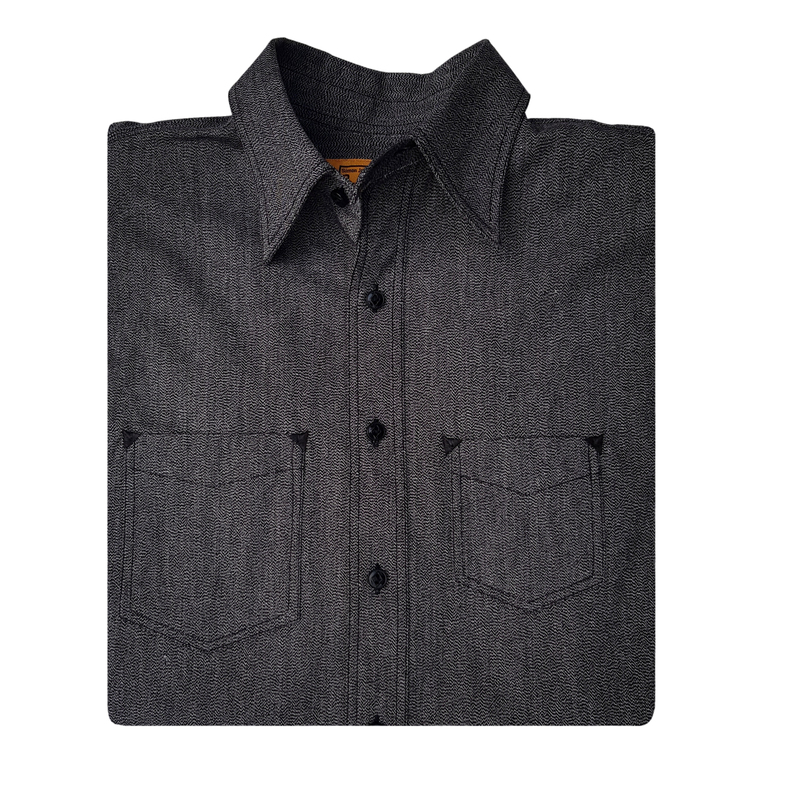 The original 8oz brushed cotton flannel lining has been remade, along with the marled milk chocolate swirl buttons. 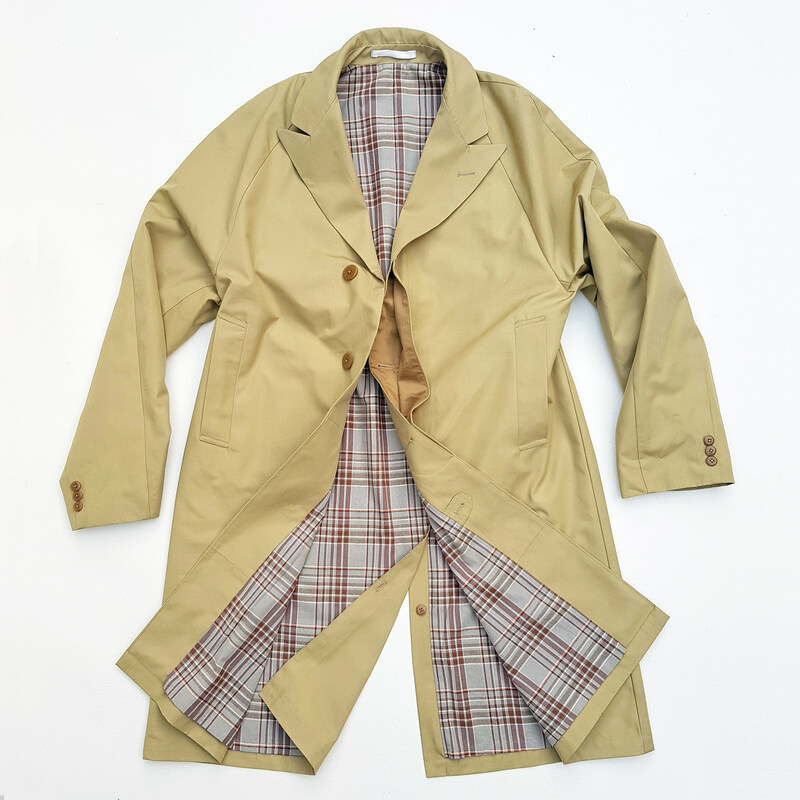 I intended to weave 100 but only managed to eek out 25 coats from this run. 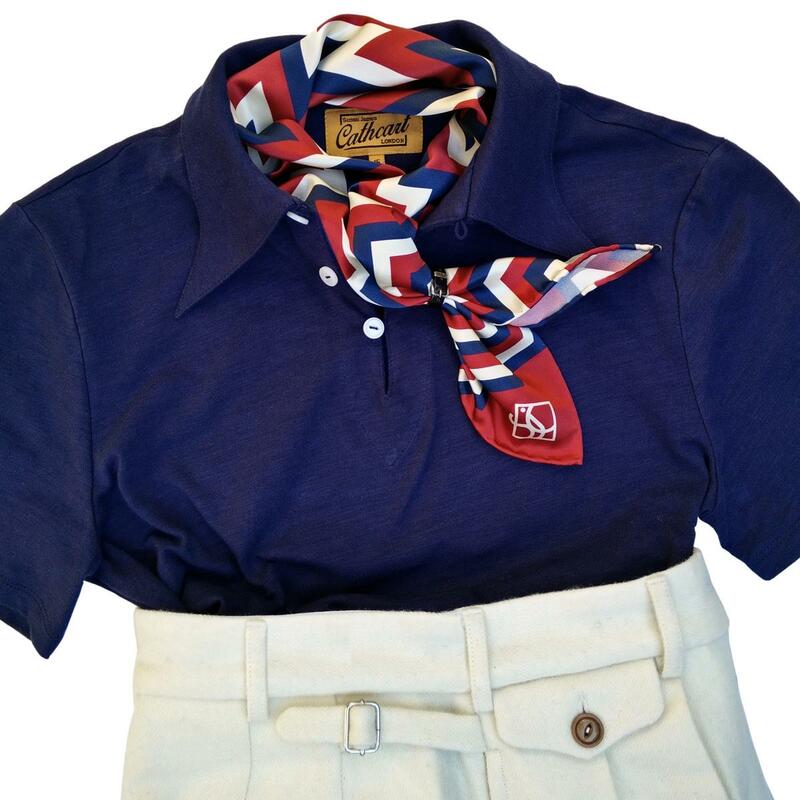 Summer's here and so is the all new SJC polo - at an early bird price of 10% off. 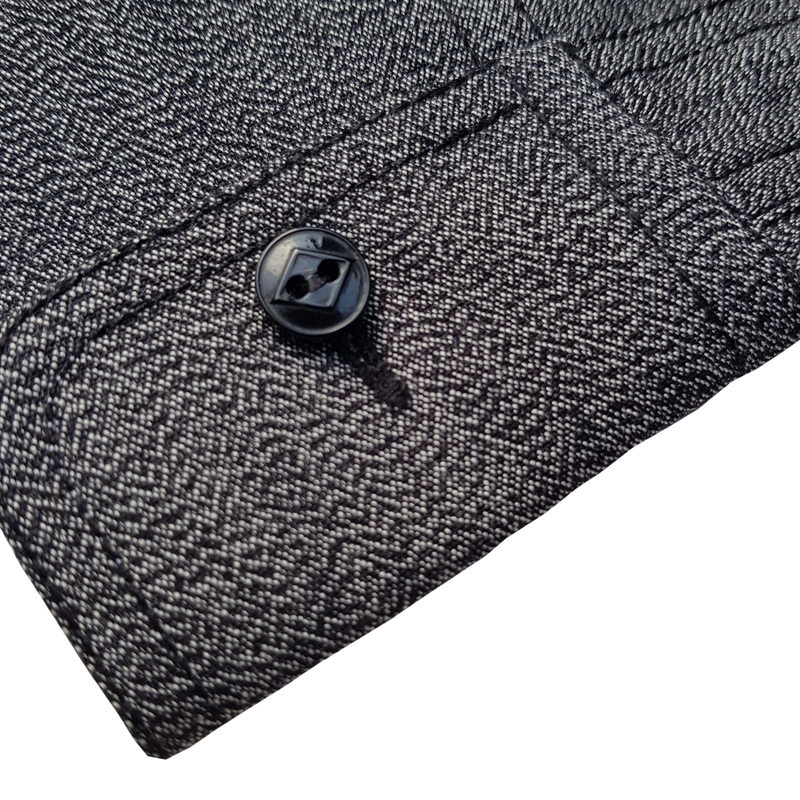 If you have received your discount code, sign up on the home page and find it in the "thanks" box that will pop up after you sign up. 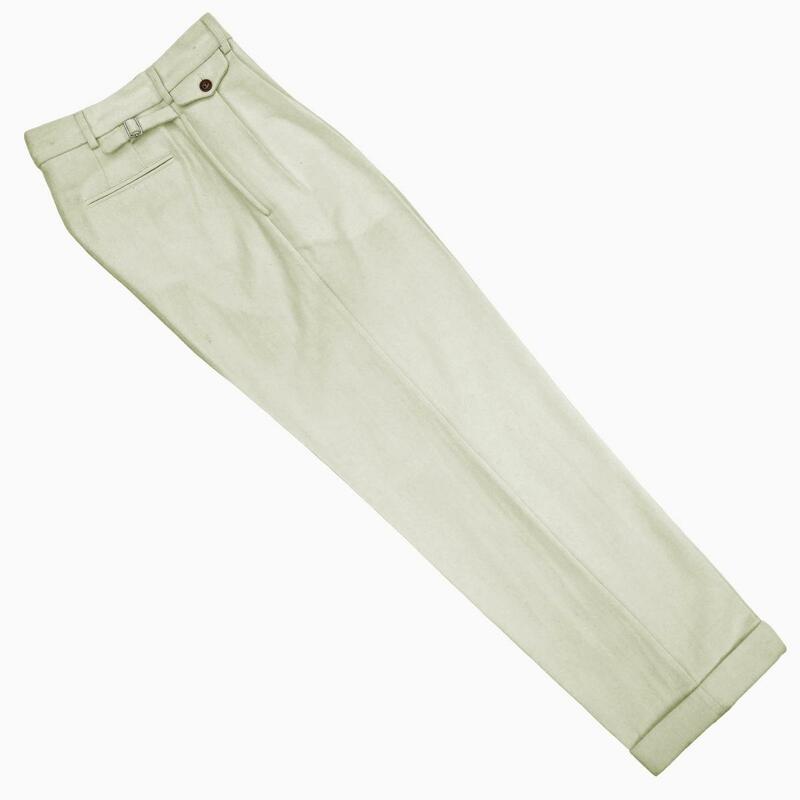 These are once again made from the truly remarkable bamboo plant. 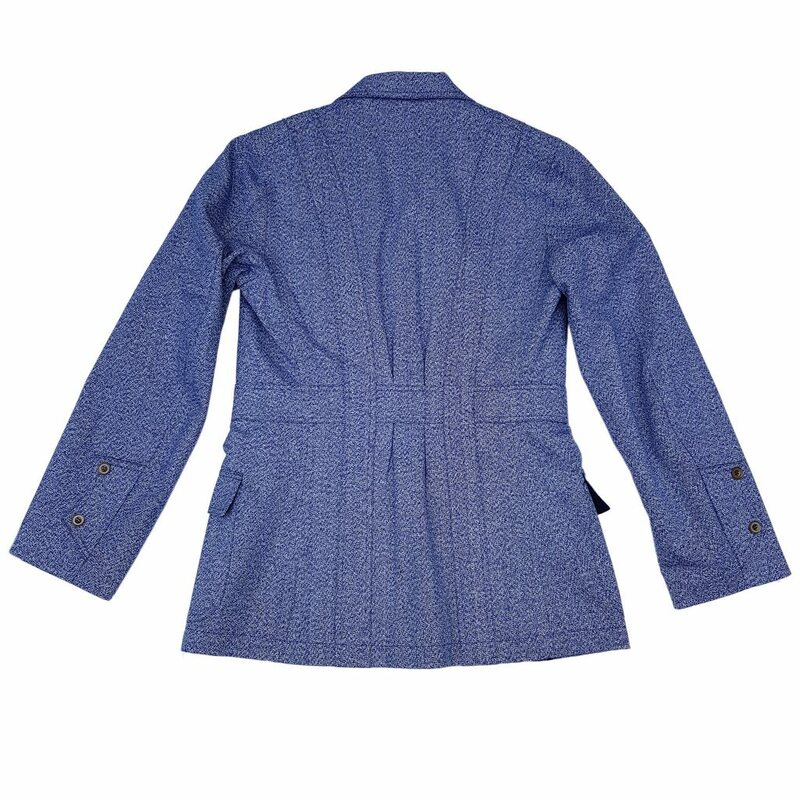 Bamboo also has a super soft feel to the touch. 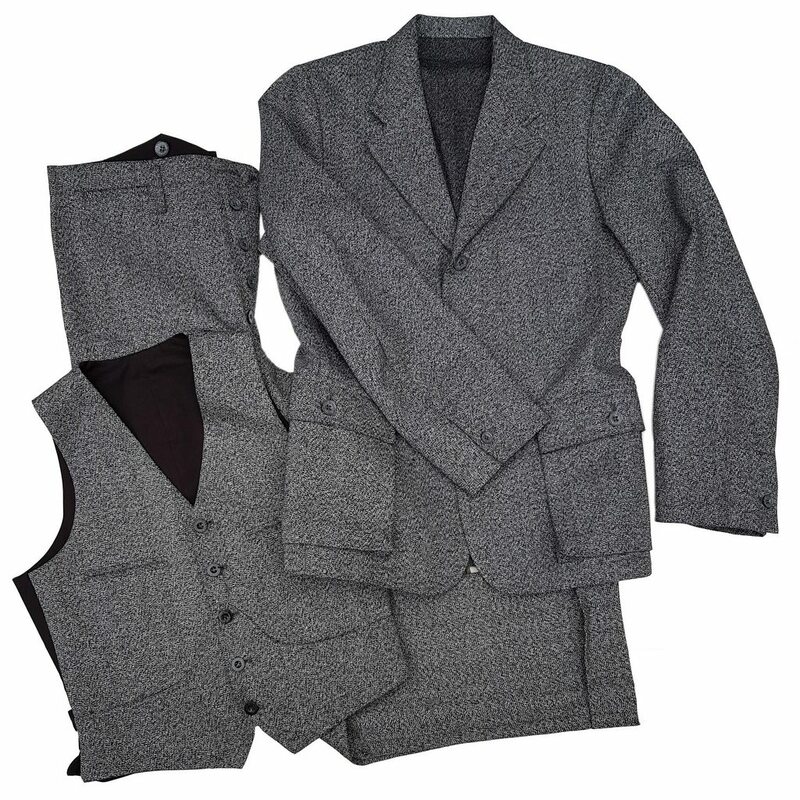 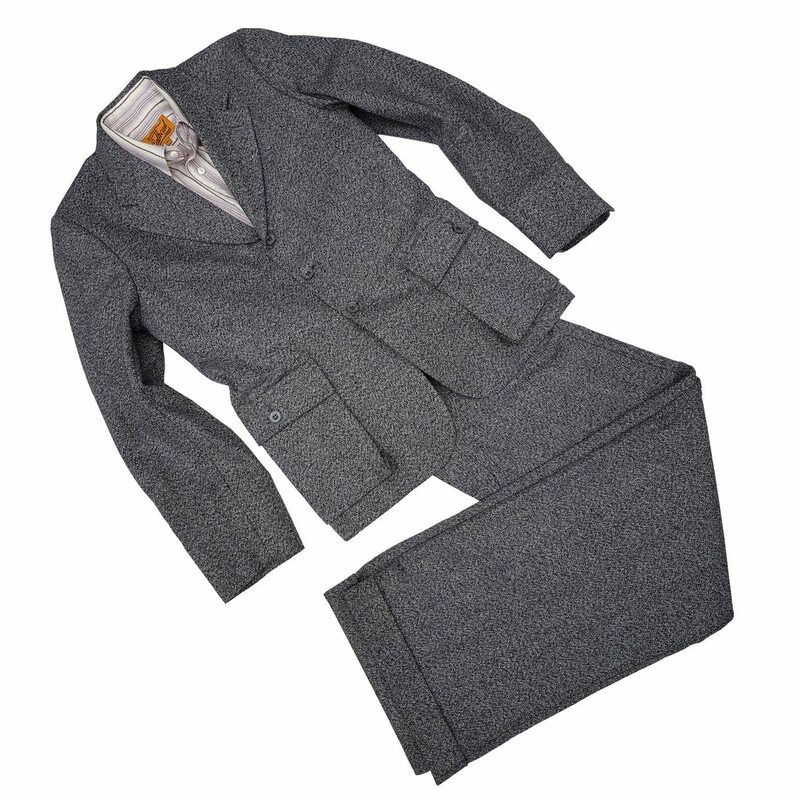 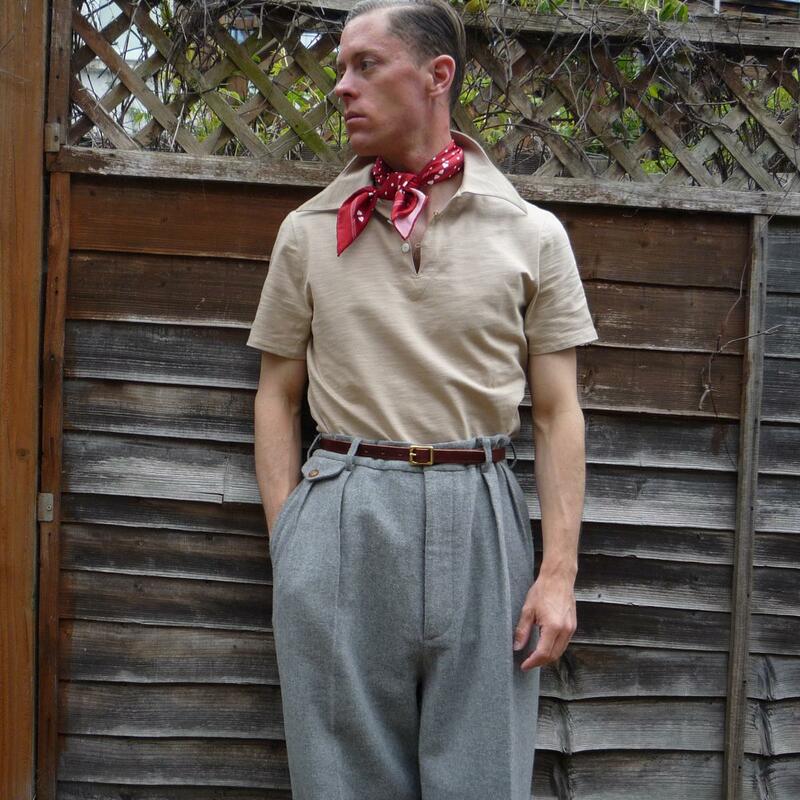 This versatile slubby cloth has a distinctly raw 1930's look. 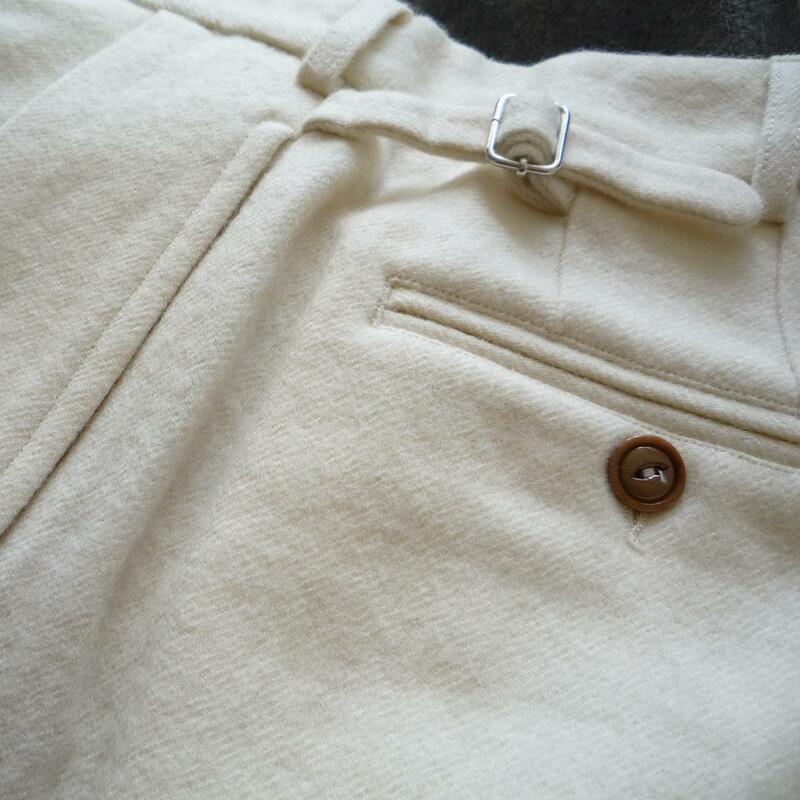 However at 230 grams (8oz) these polos have a nice weighty heft about them and will retain their shape through summer. 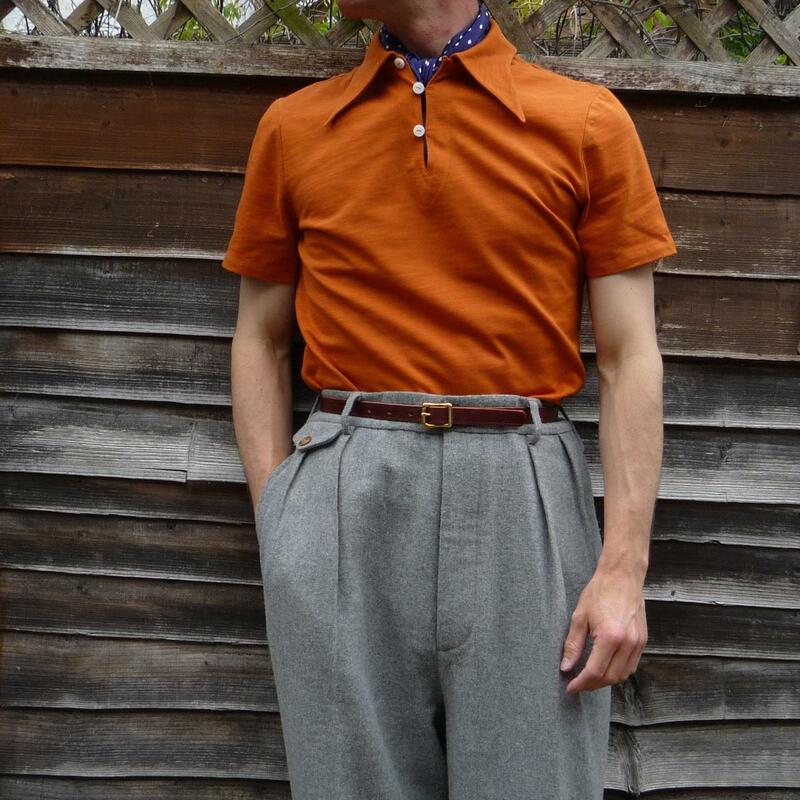 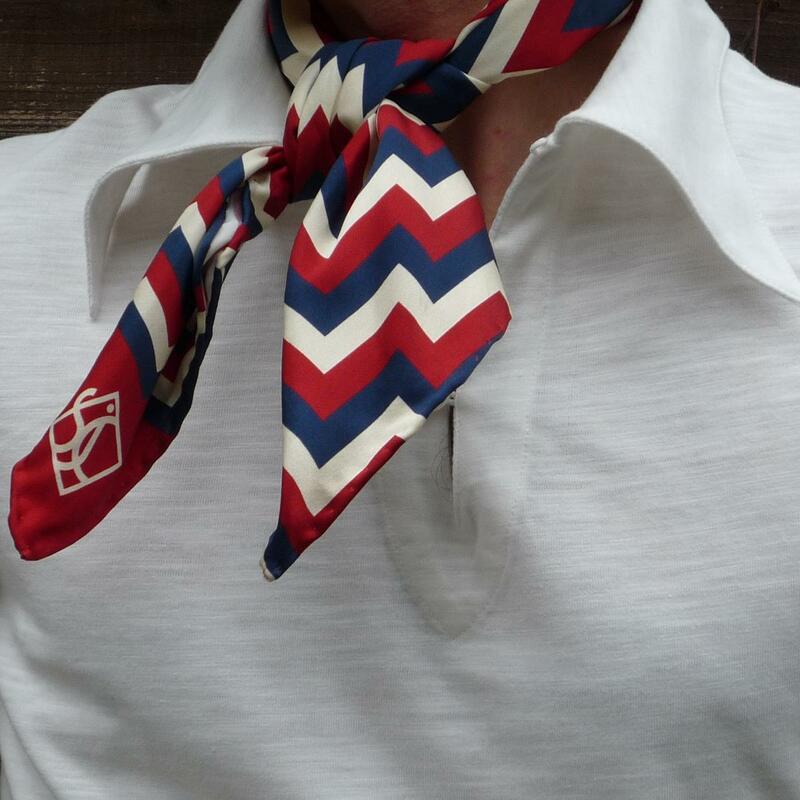 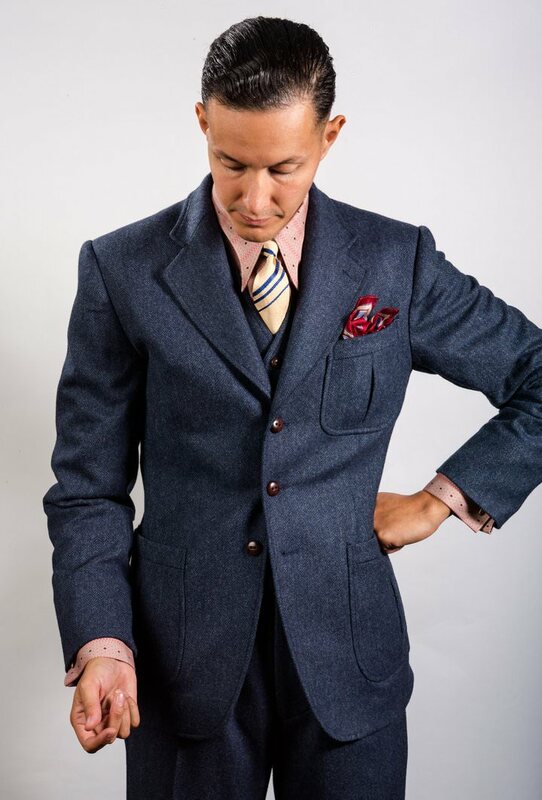 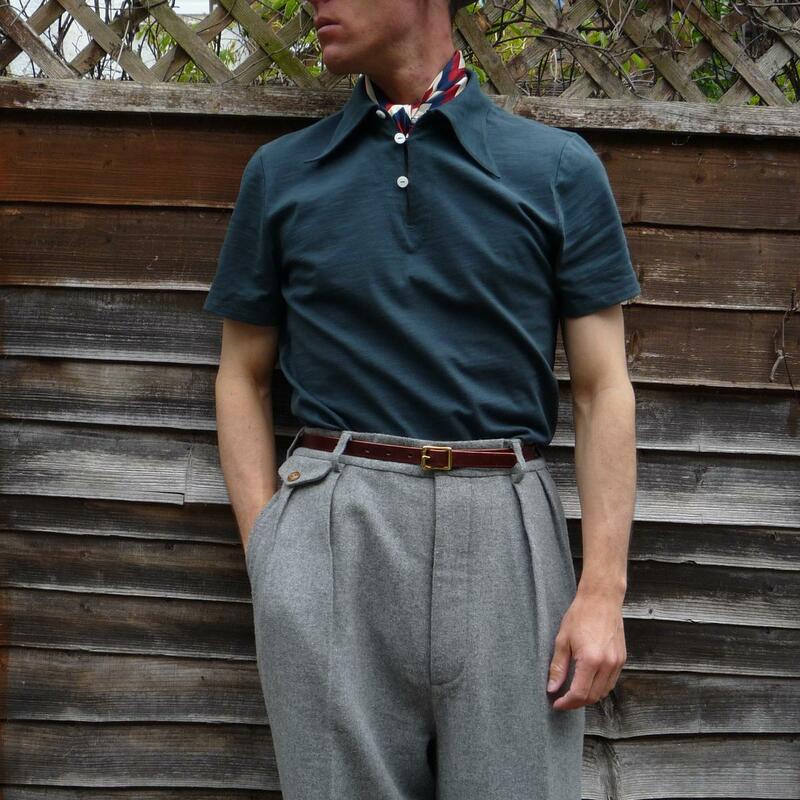 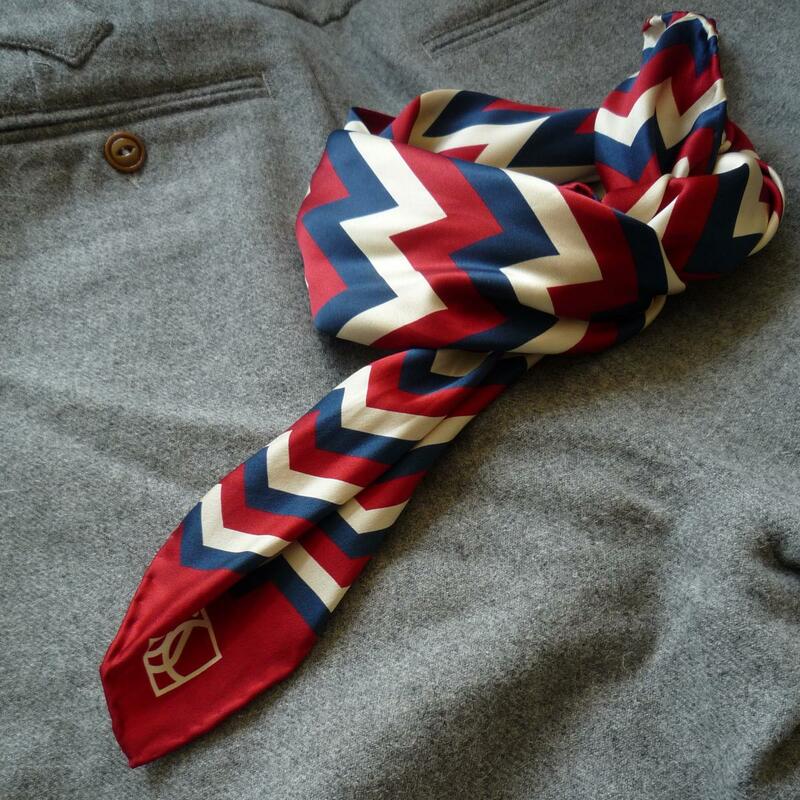 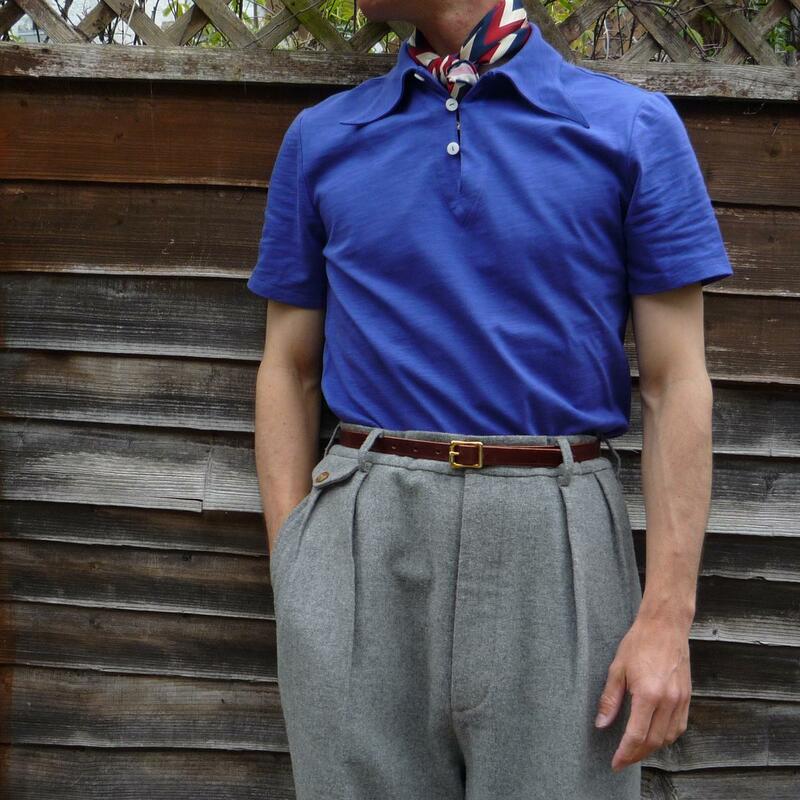 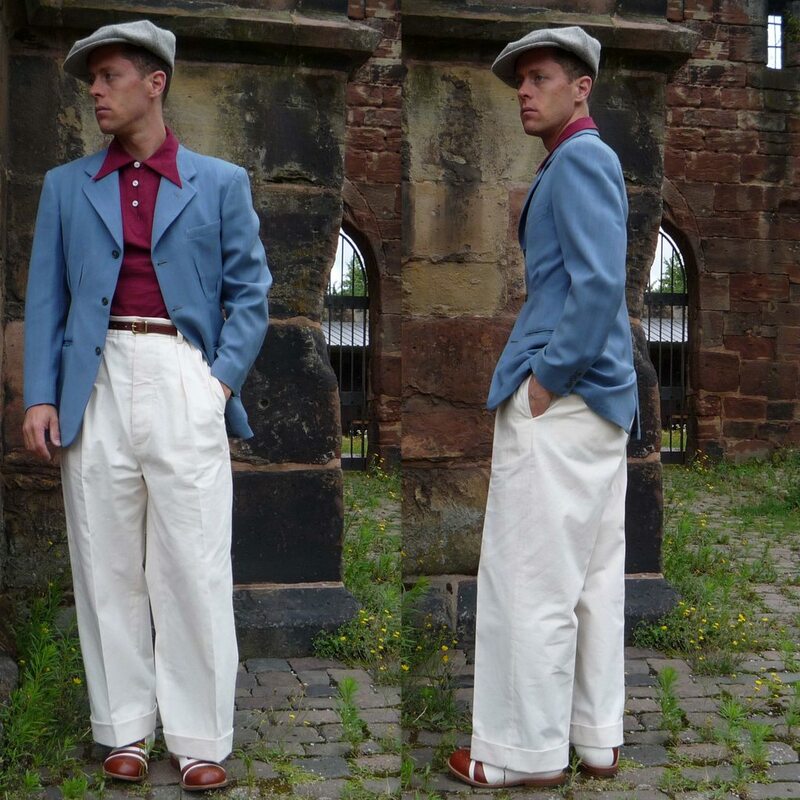 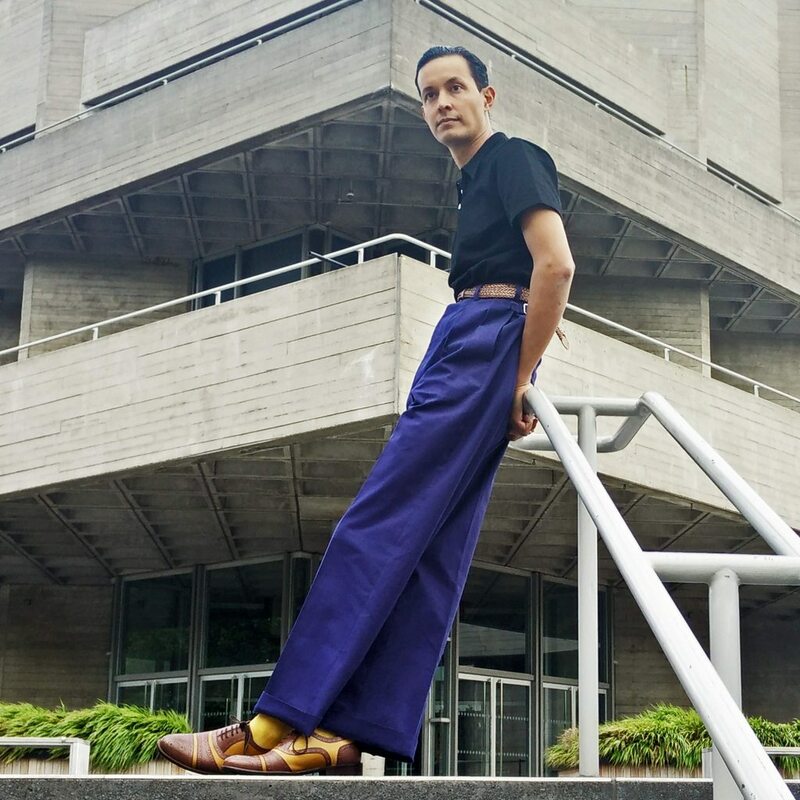 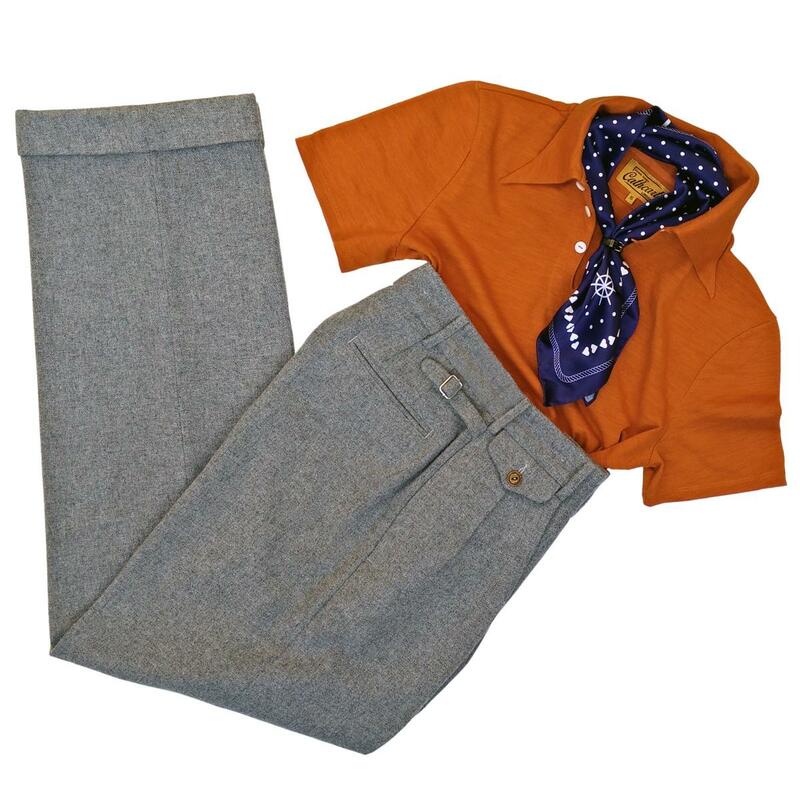 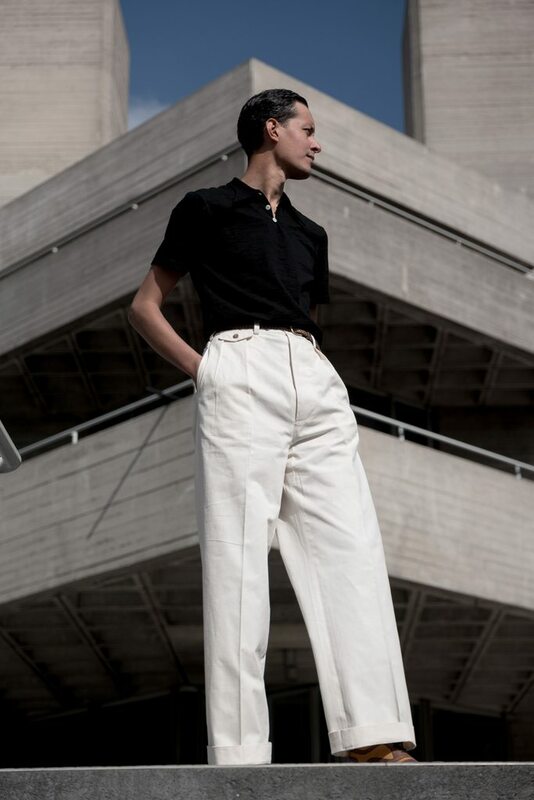 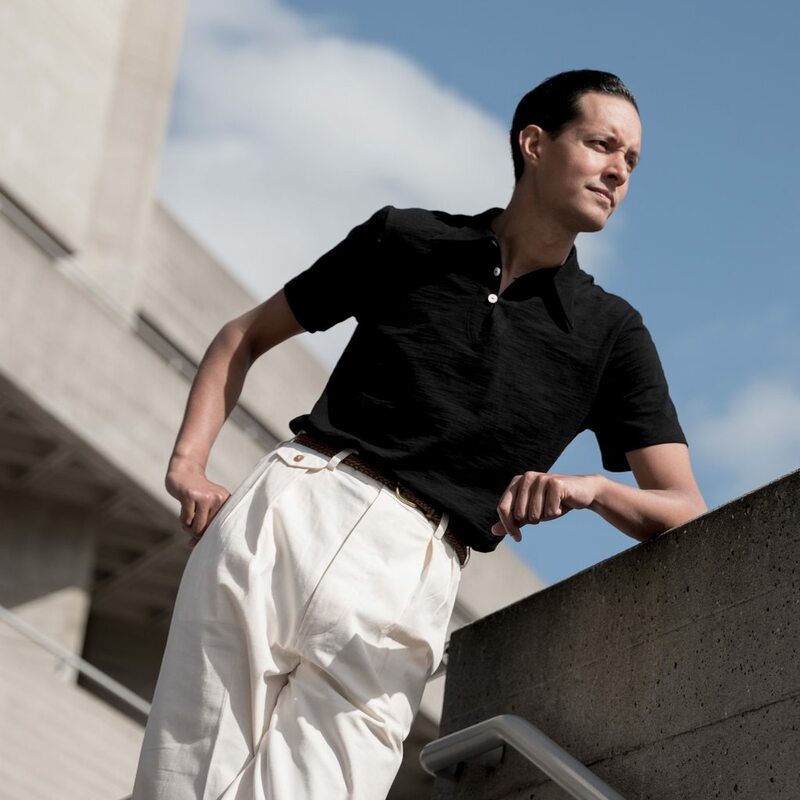 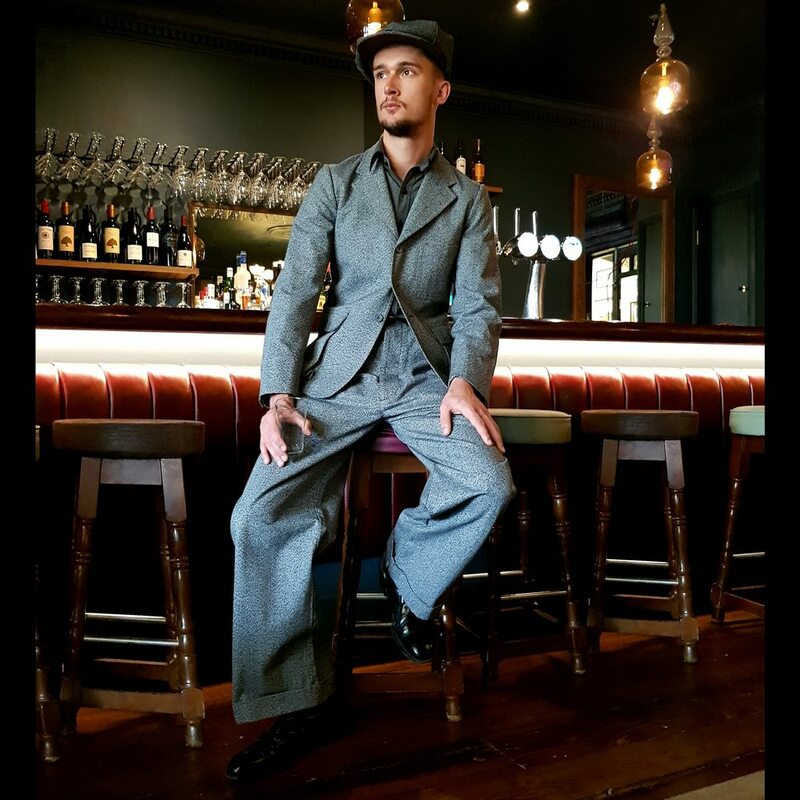 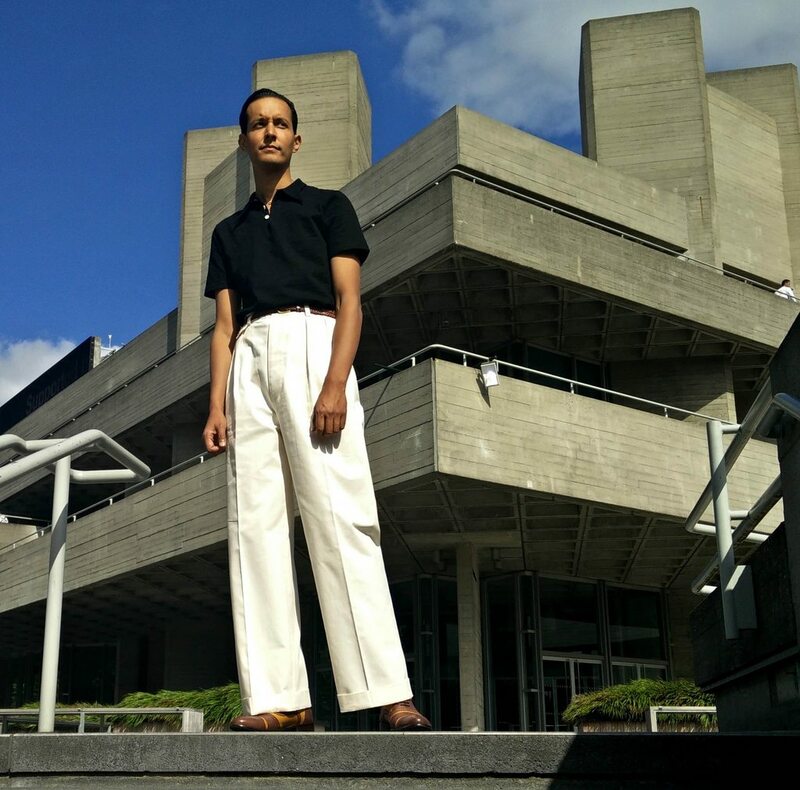 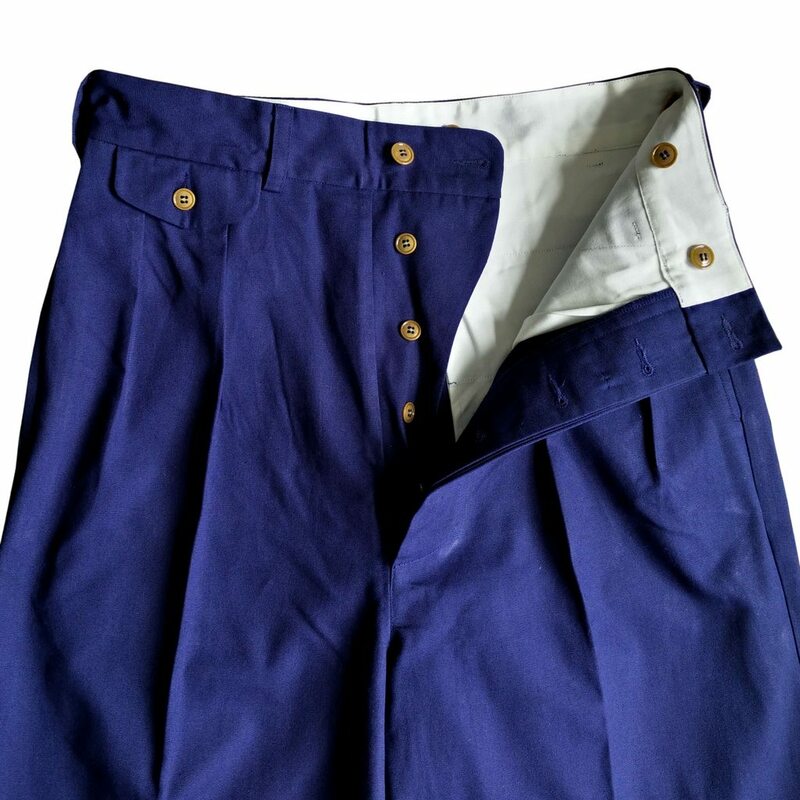 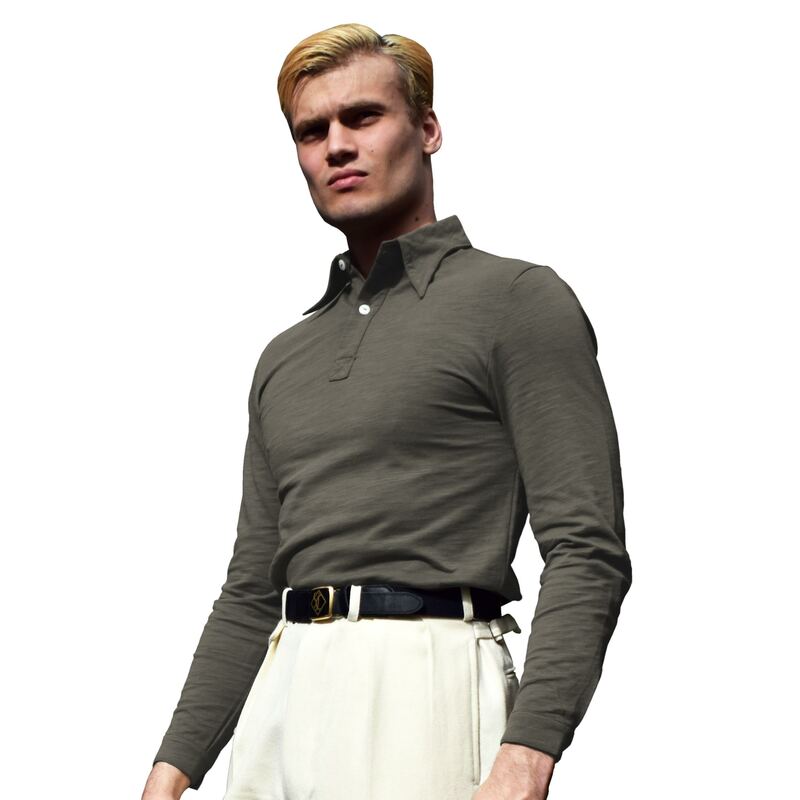 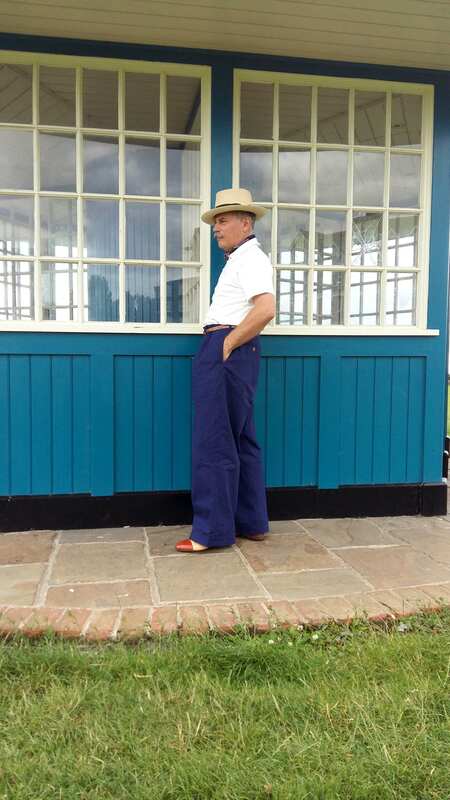 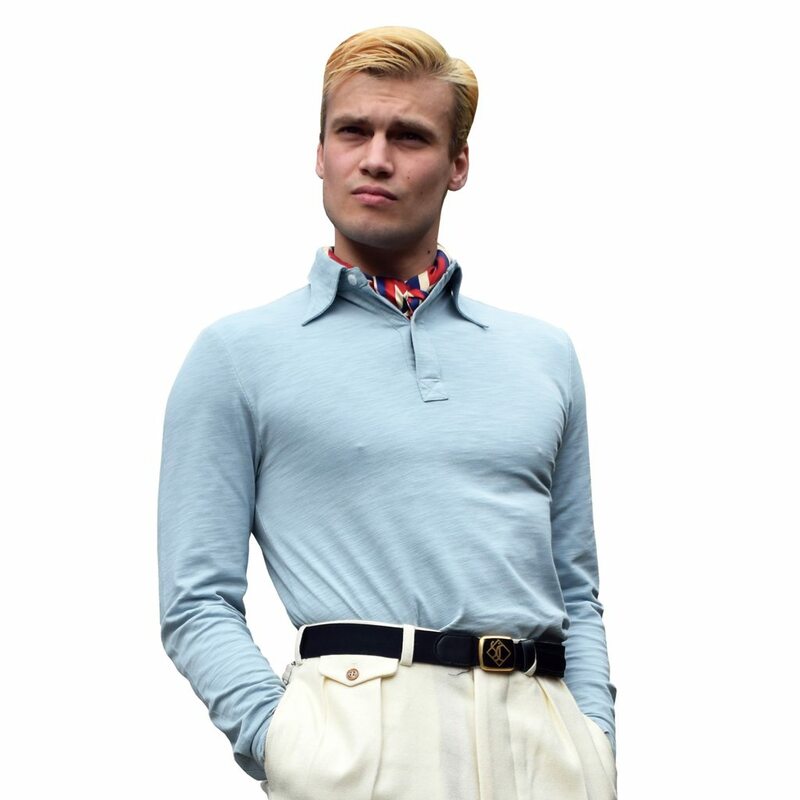 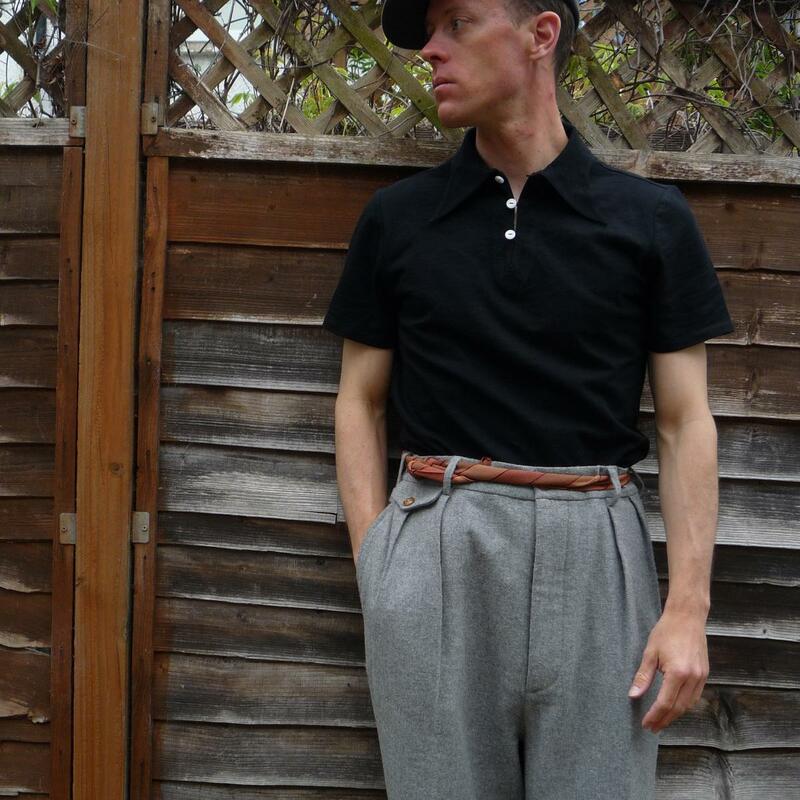 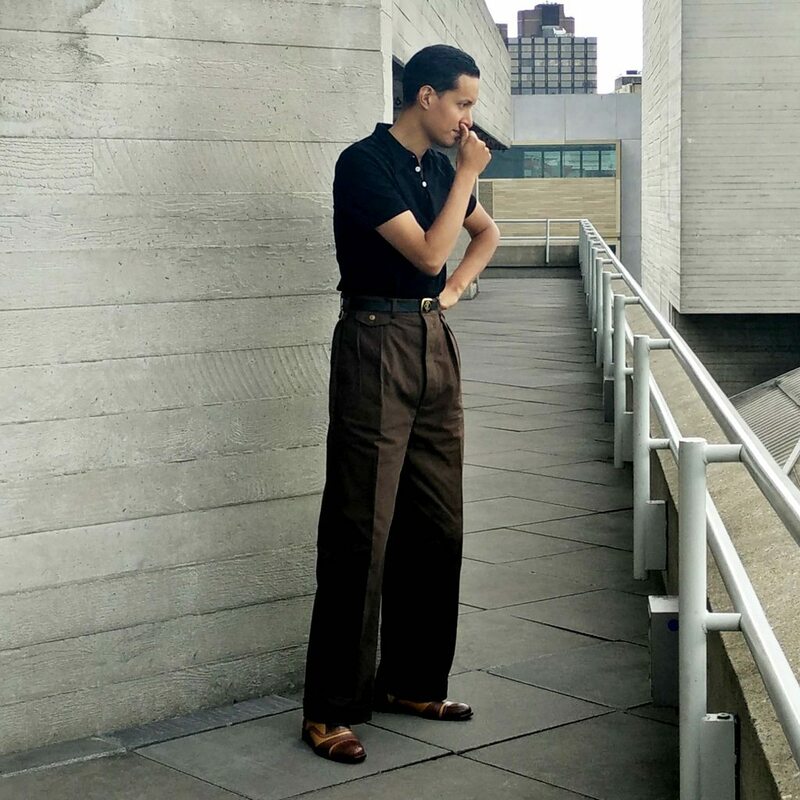 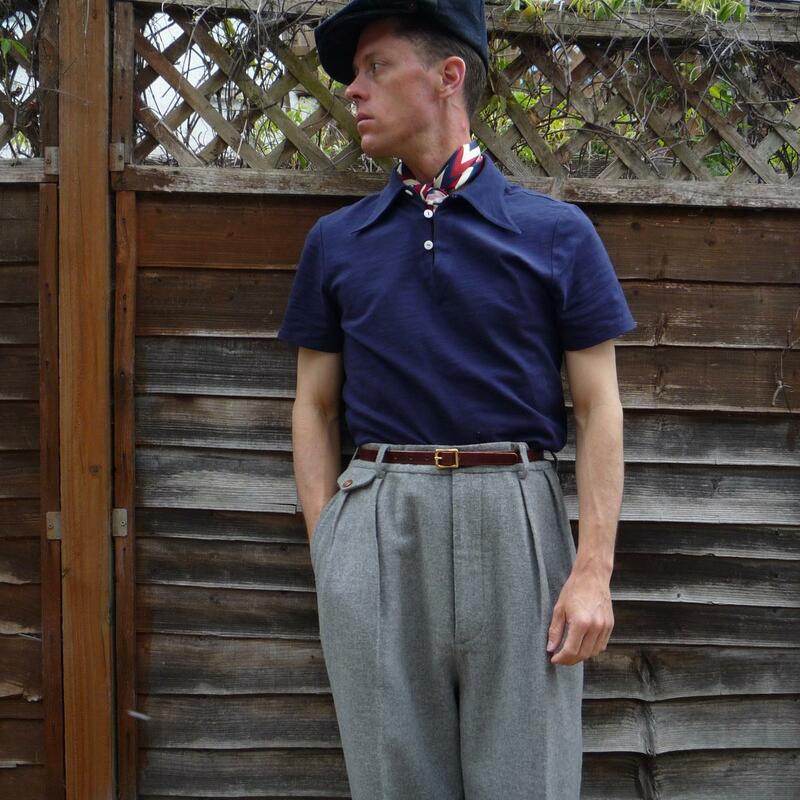 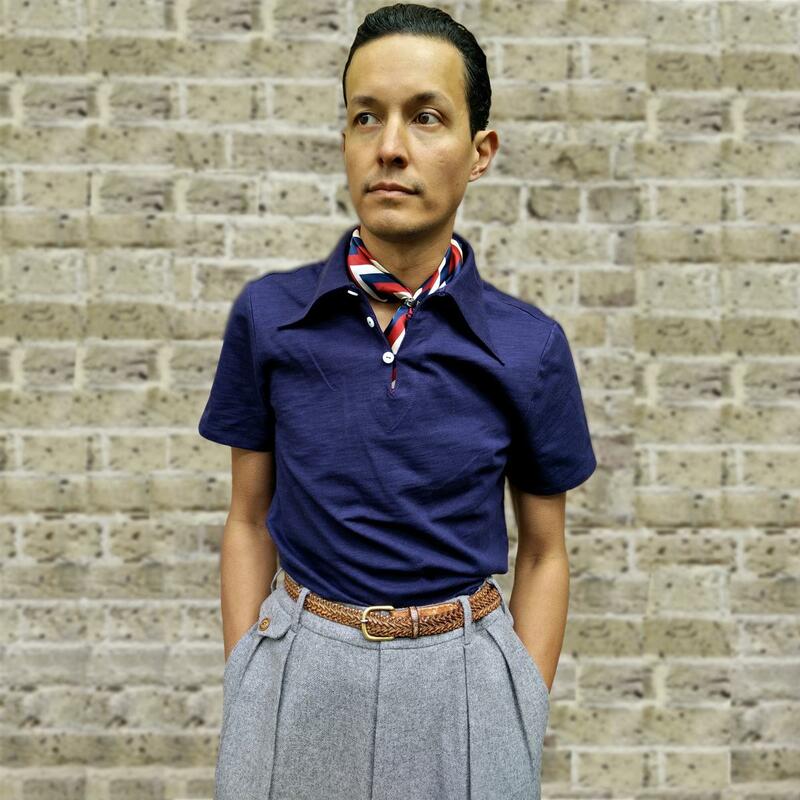 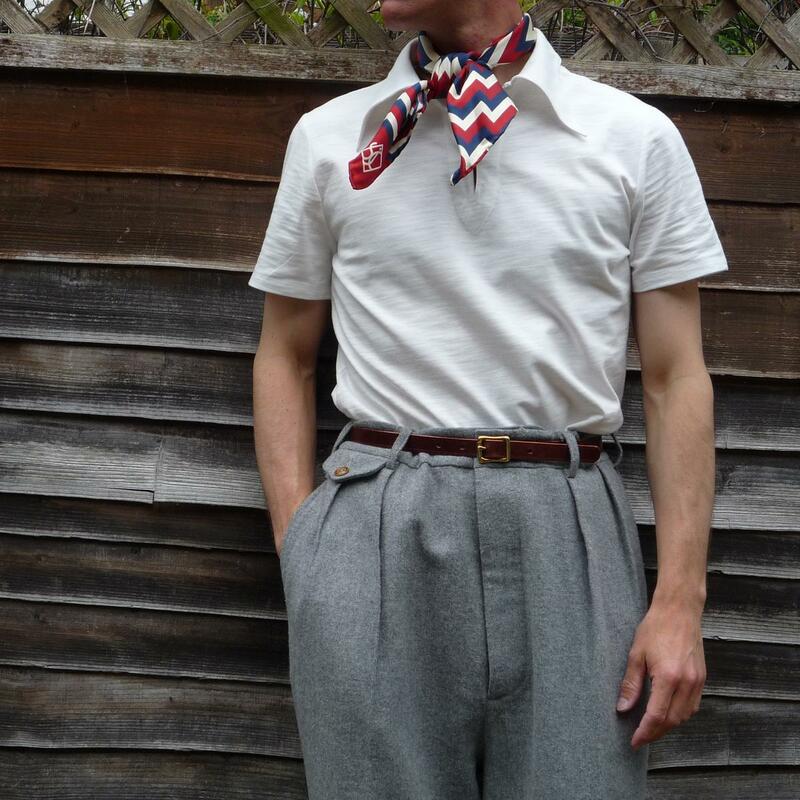 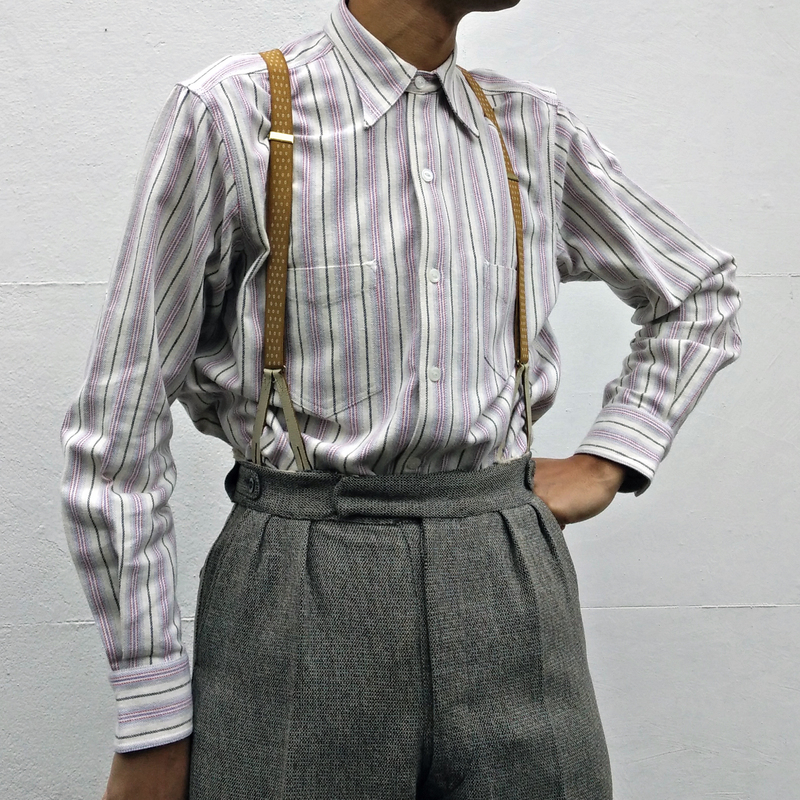 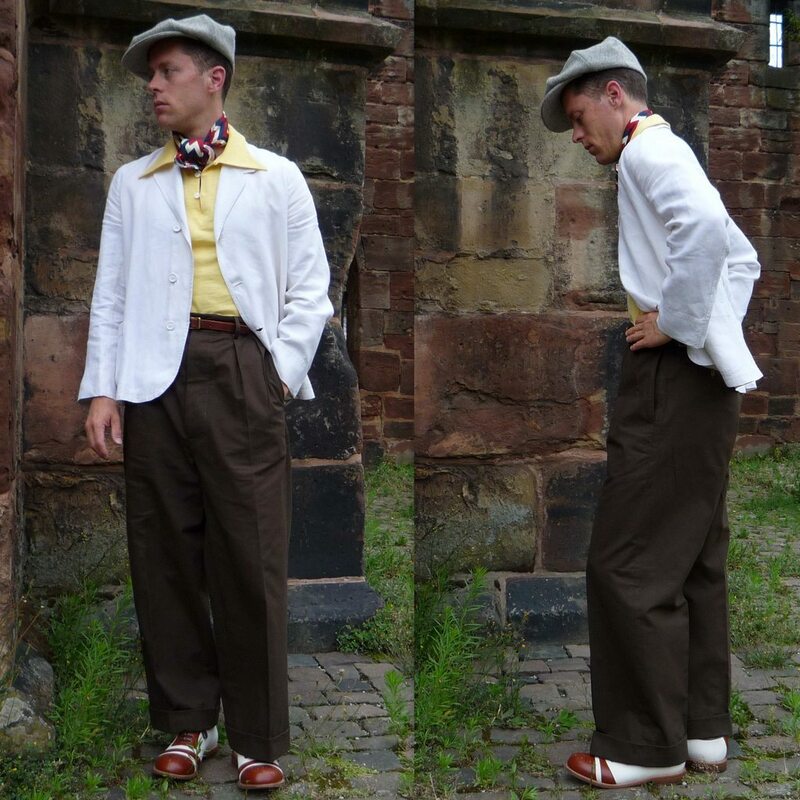 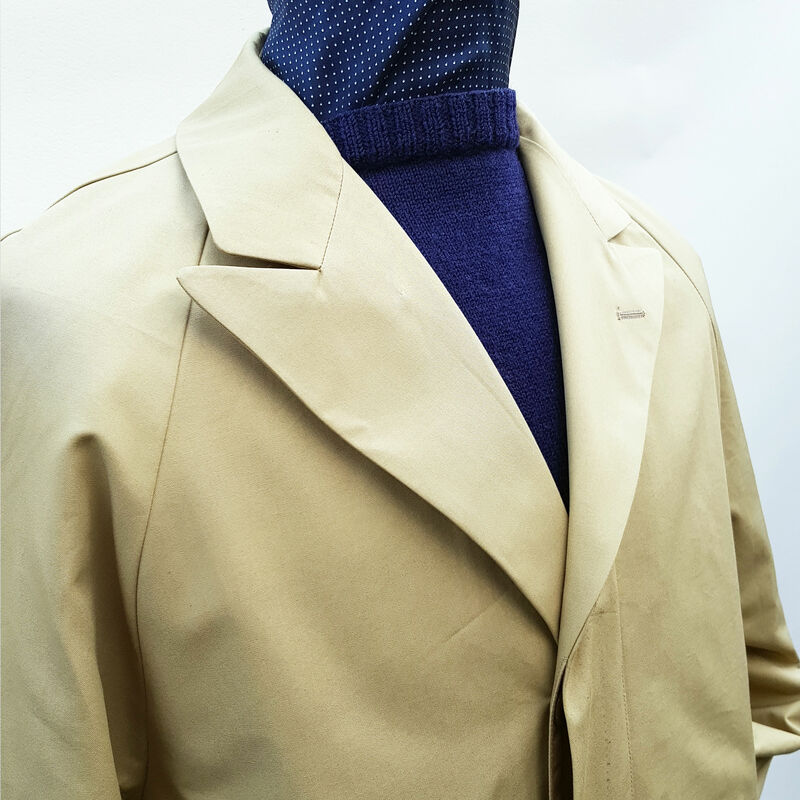 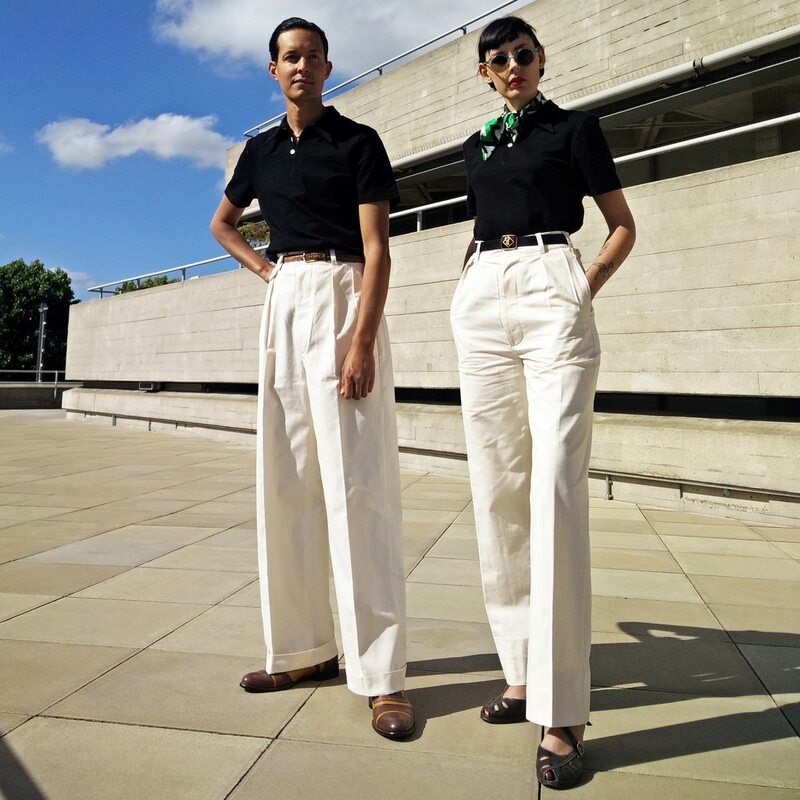 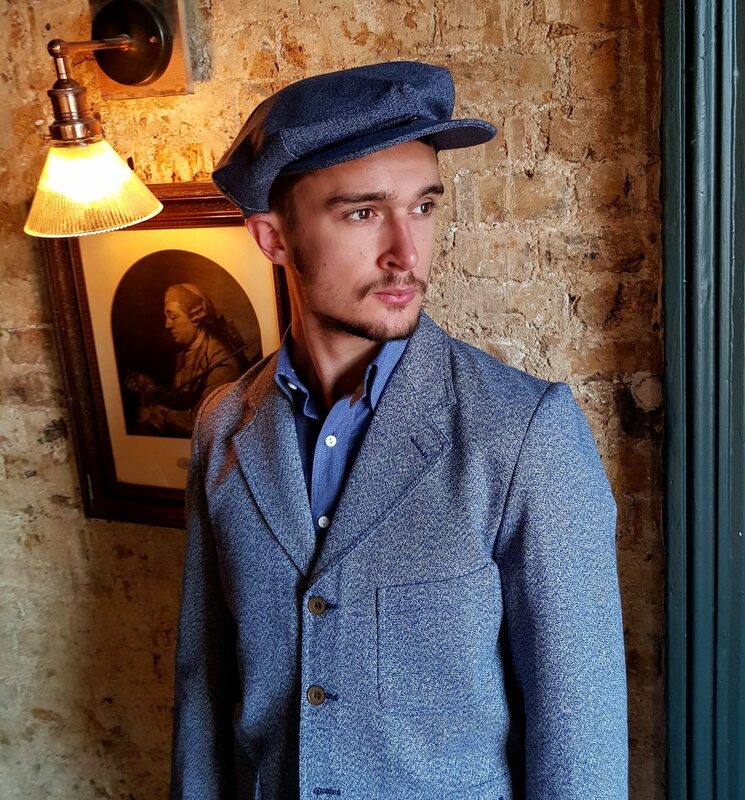 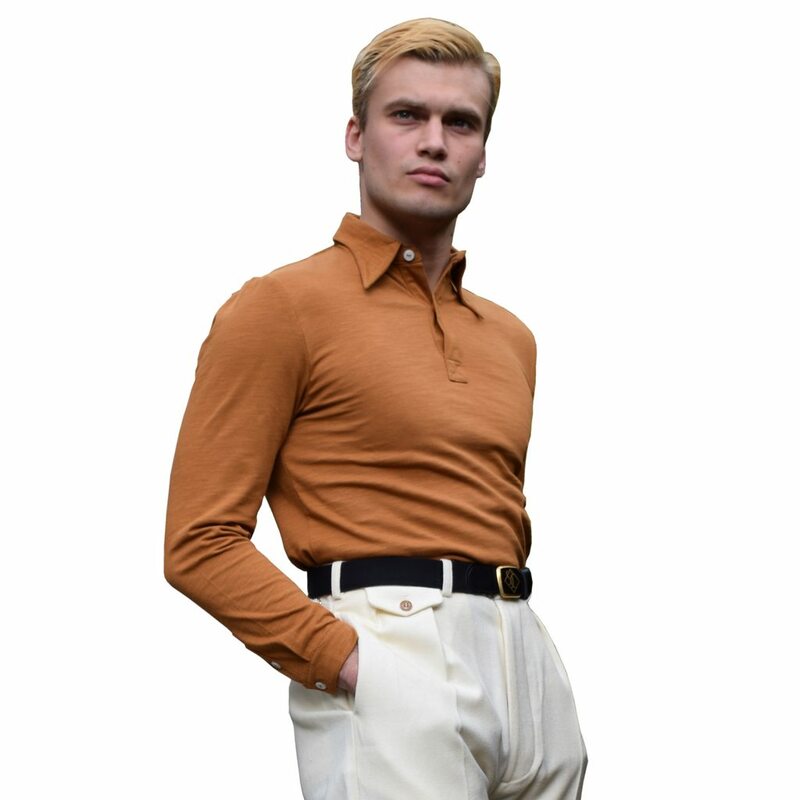 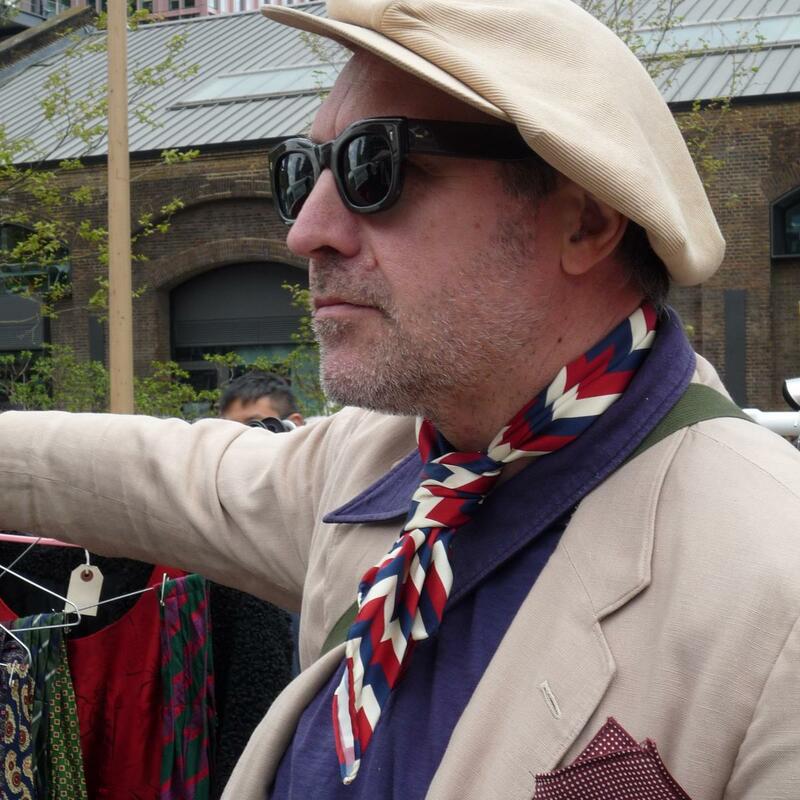 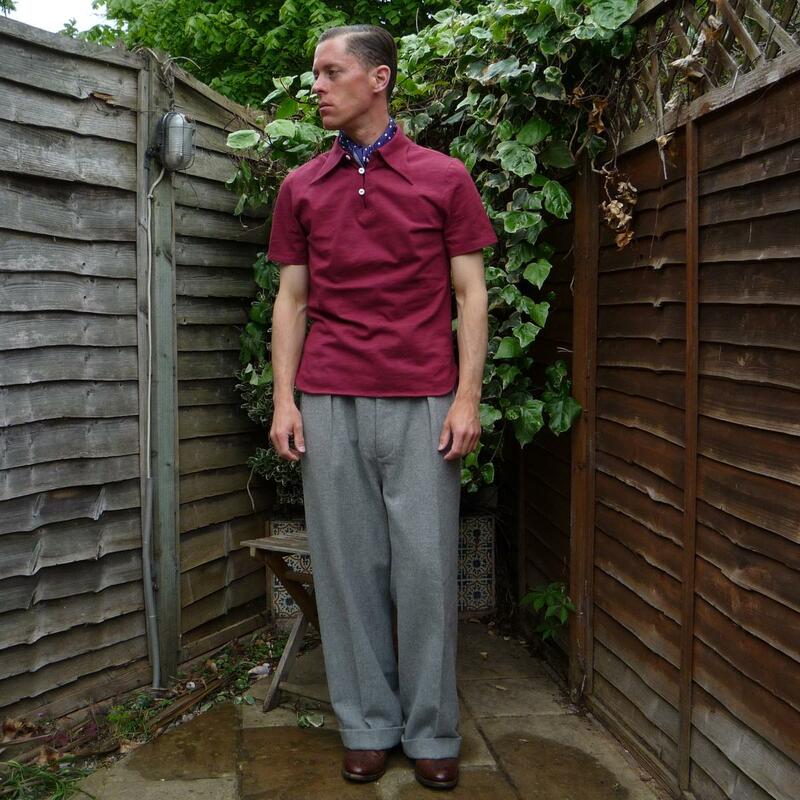 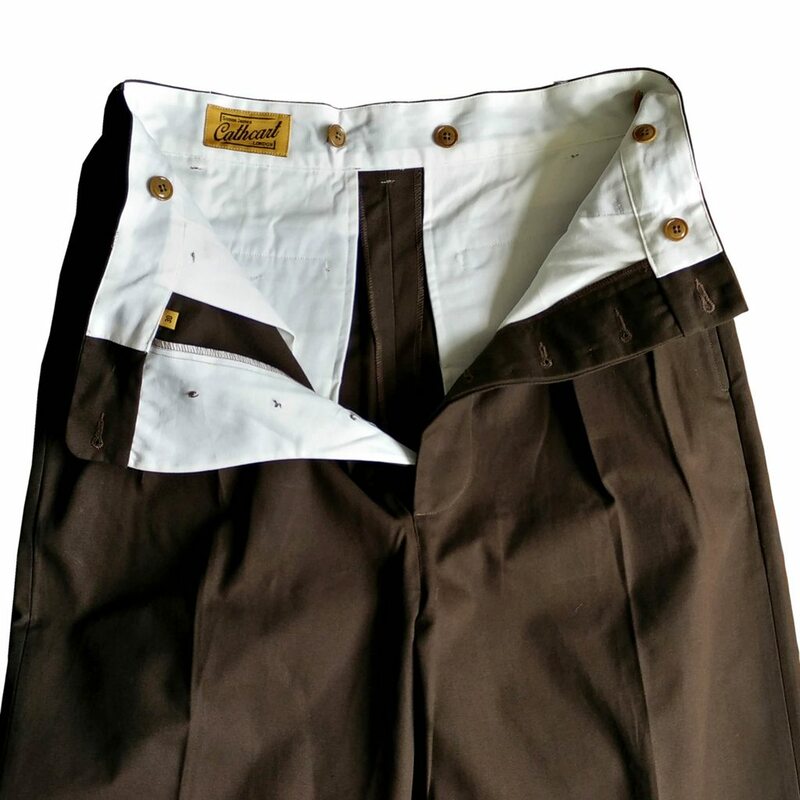 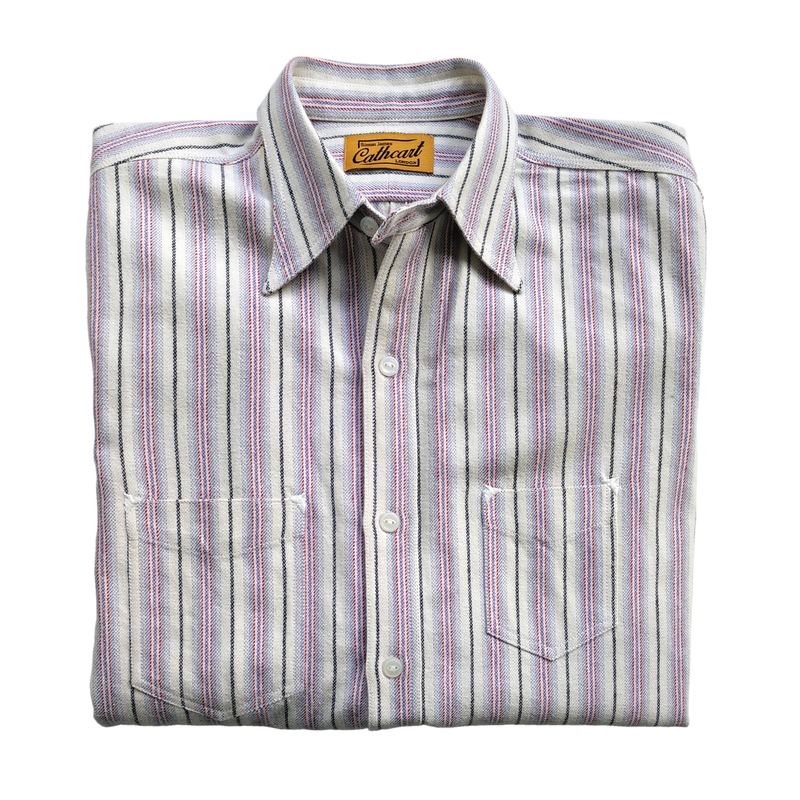 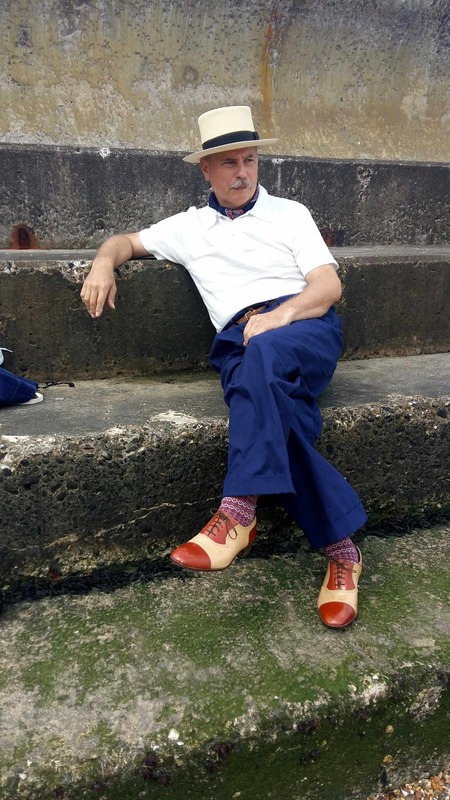 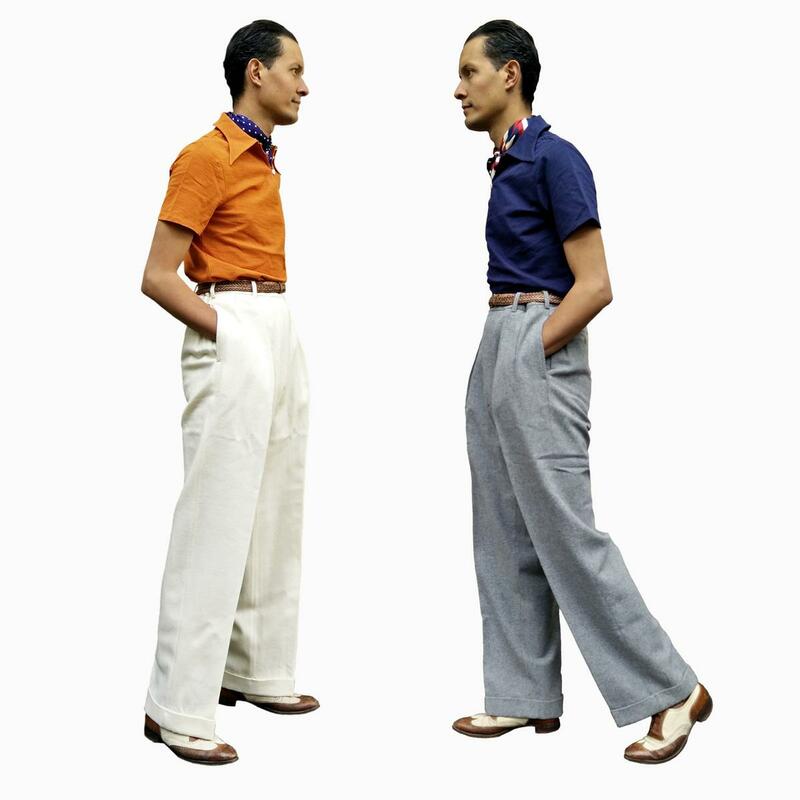 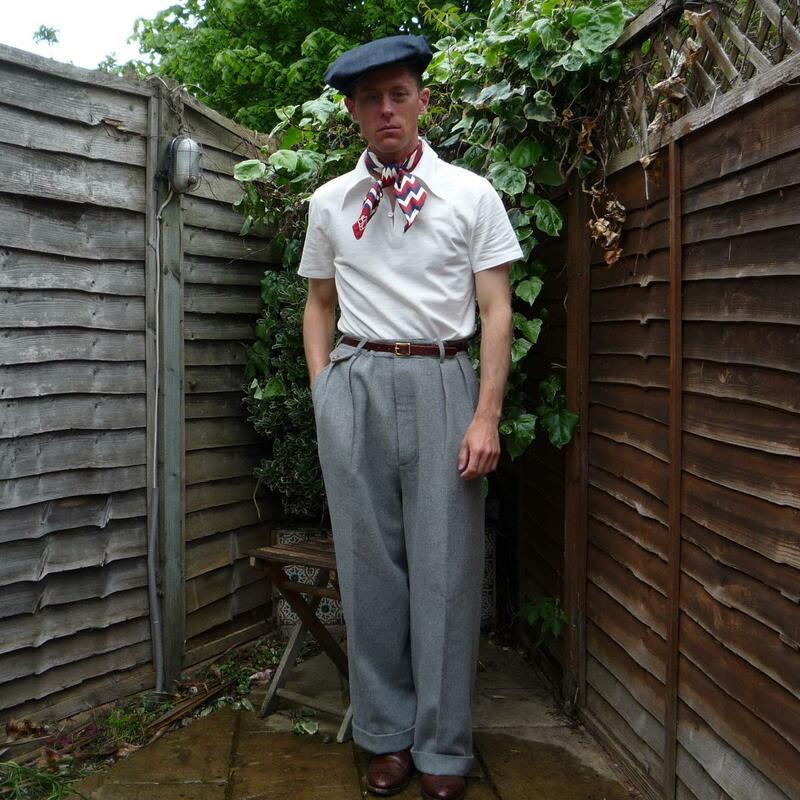 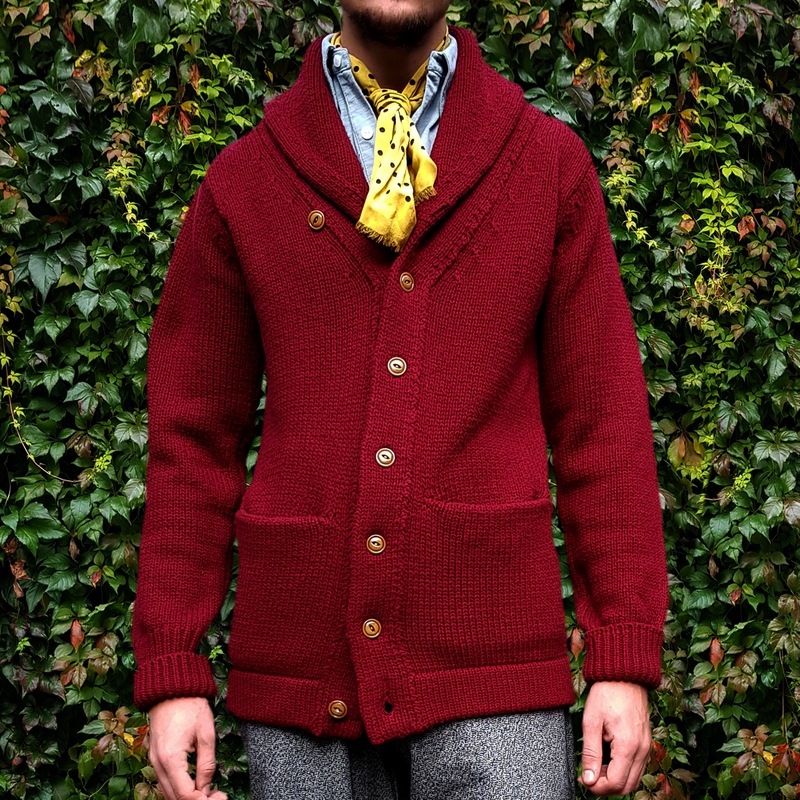 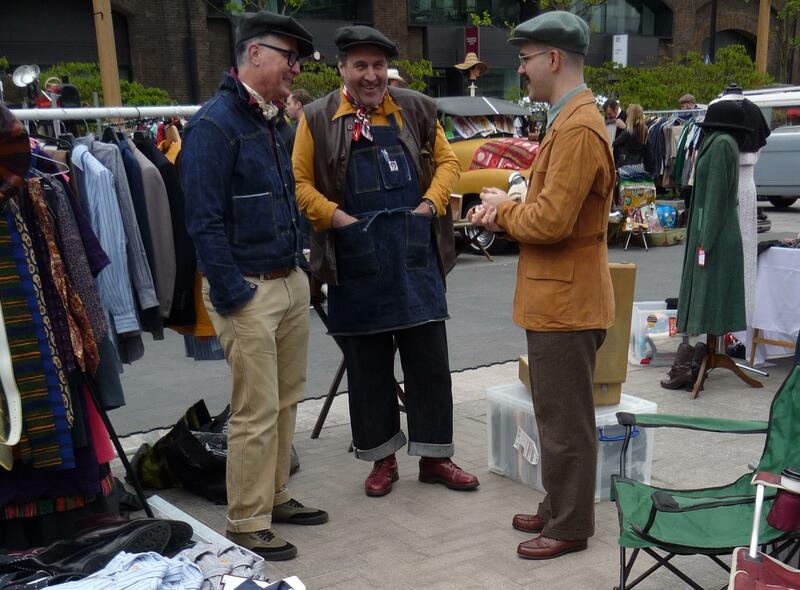 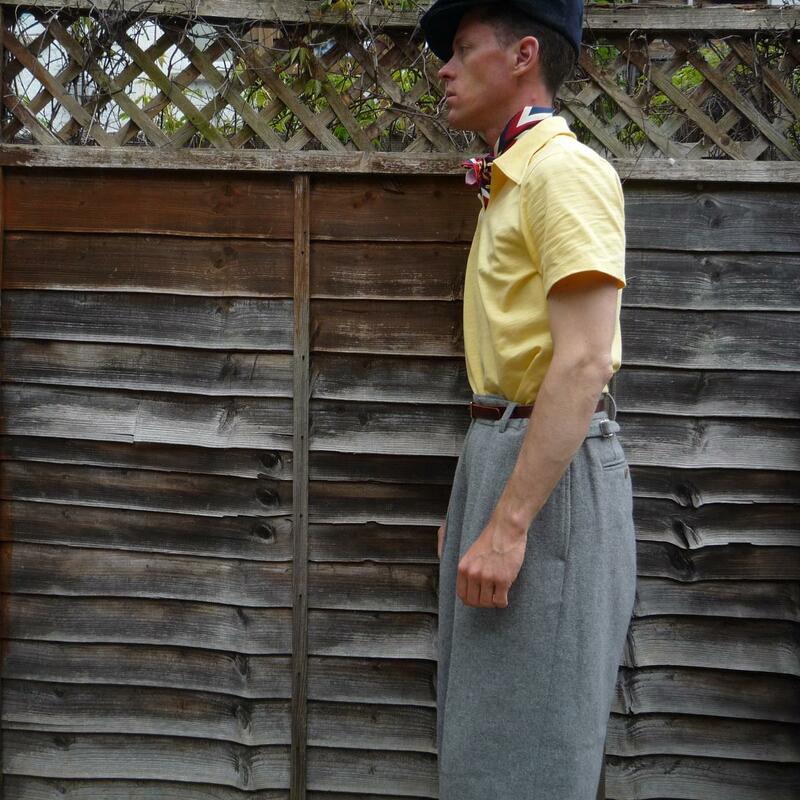 Nipped slightly at the waist, for a slimming effect, and with a rounded sporty tail, the SJC Vintage Polo can be worn tucked in or out and is a perfect piece to match the wide 1930s flannel trousers and the zigzag 30s silk neckerchief and the new SJC 1920s chinos. 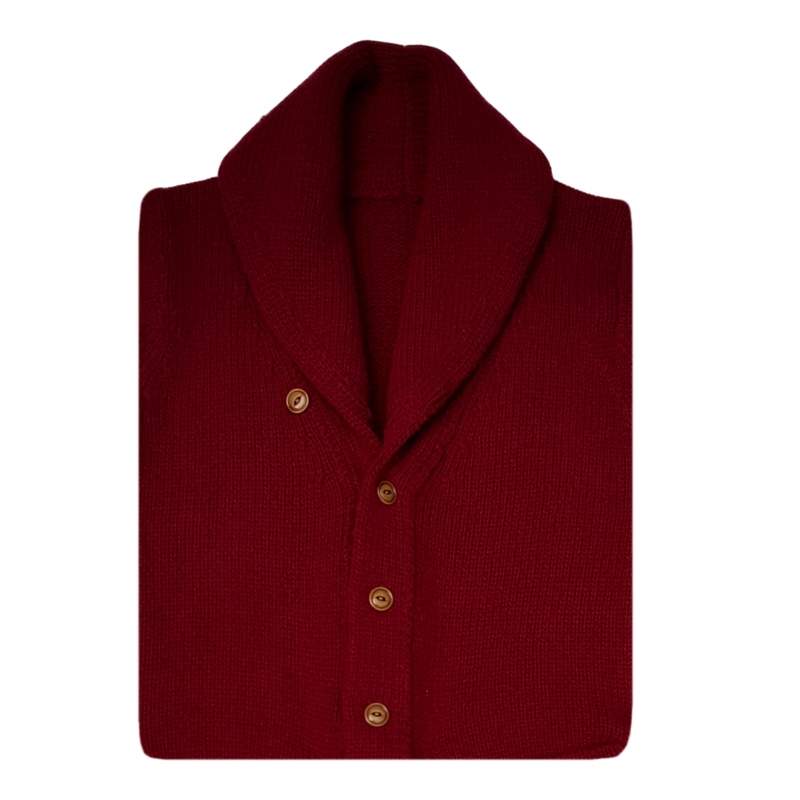 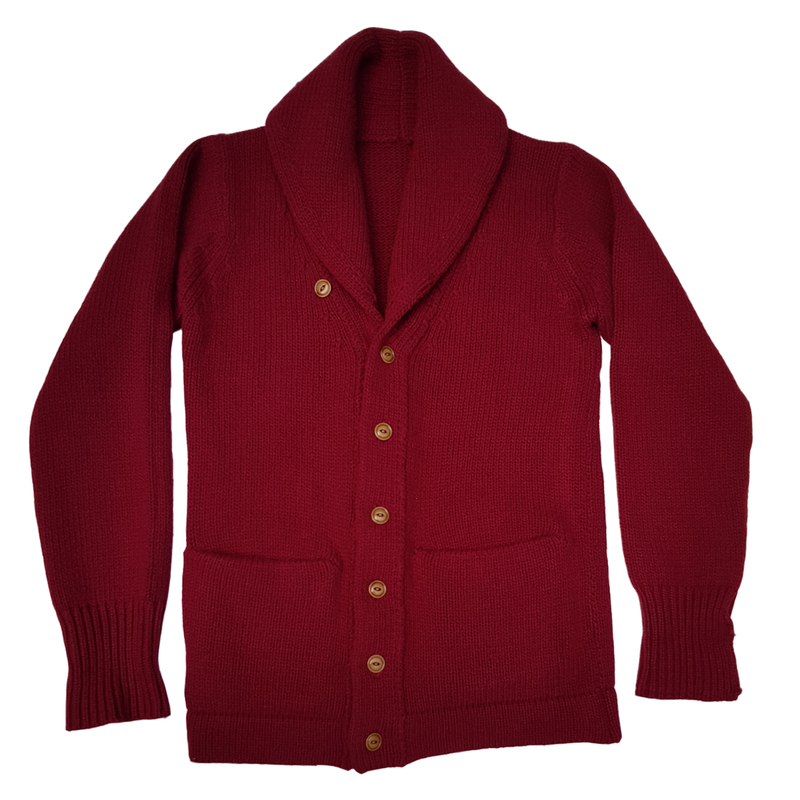 Available for pre-order in nine colours now. 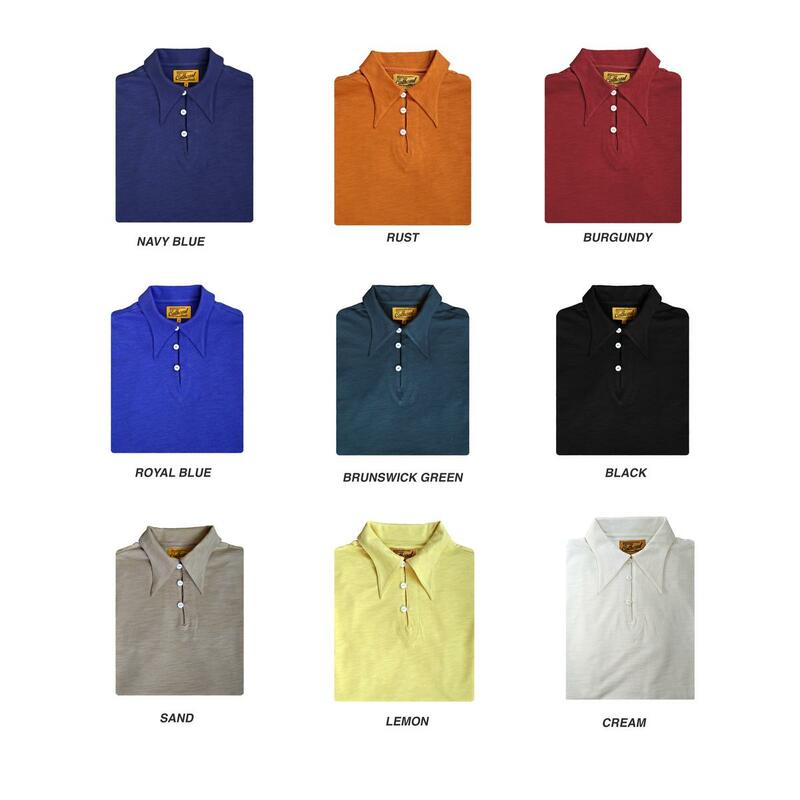 Delivery June.